Mega-Airport! 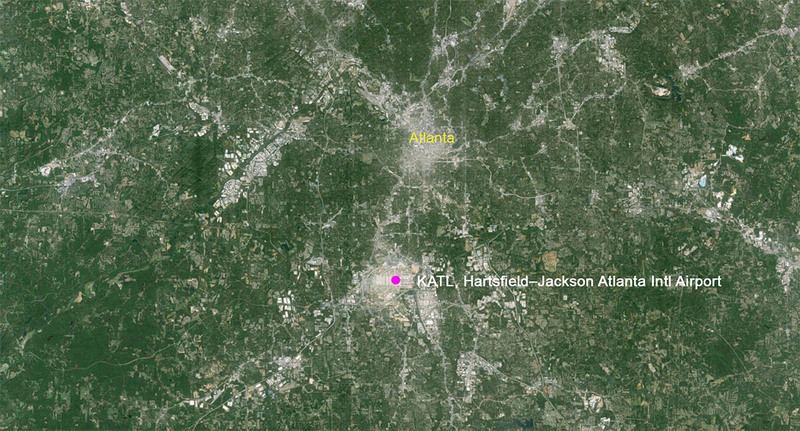 Yes there are a lot of superlatives when describing KATL or its official name "Hartsfield–Jackson Atlanta International Airport" but the usually locals shorten the title a little bit to just "Atlanta Airport". 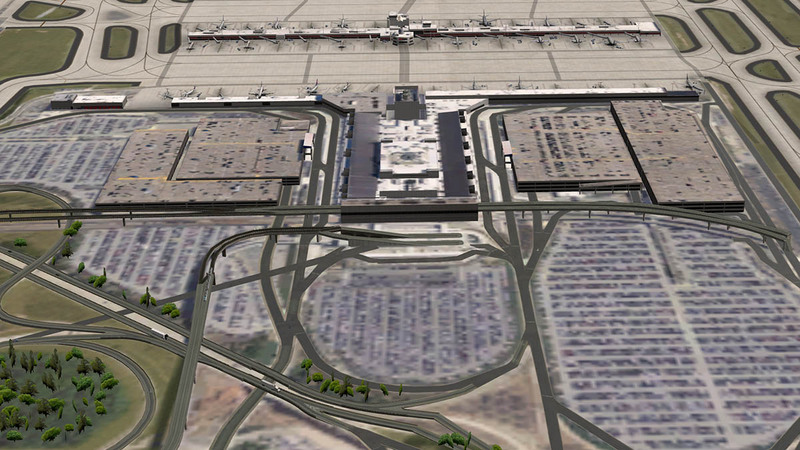 But that does not take away anything superlative about this airport, It is big... biggest, huge! and the numbers prove it. 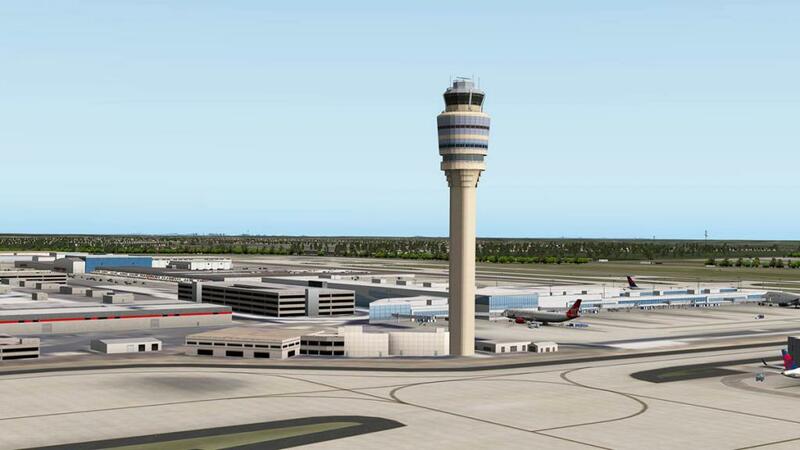 As KATL has been the world's busiest airport by passenger traffic since 1998, by the number of landings and take-offs since 2005 in both passengers and and the number of flights served, and by accommodating 95 million passengers (more than 260,000 passengers daily) and over 950,119 flights. It is the hub of hubs. Chances are if you are going south or south-west in the United States you will pass through here. 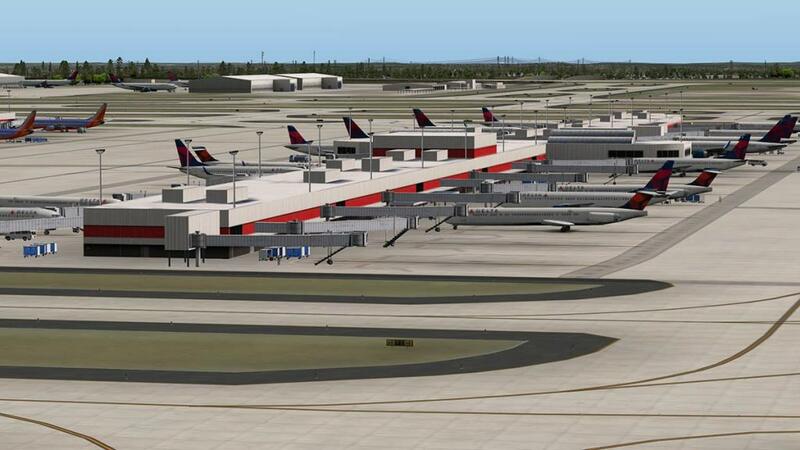 Hartsfield–Jackson had its beginnings with a five-year, rent-free lease on 287 acres (116 ha) that was the home of an abandoned auto racetrack named The Atlanta Speedway. 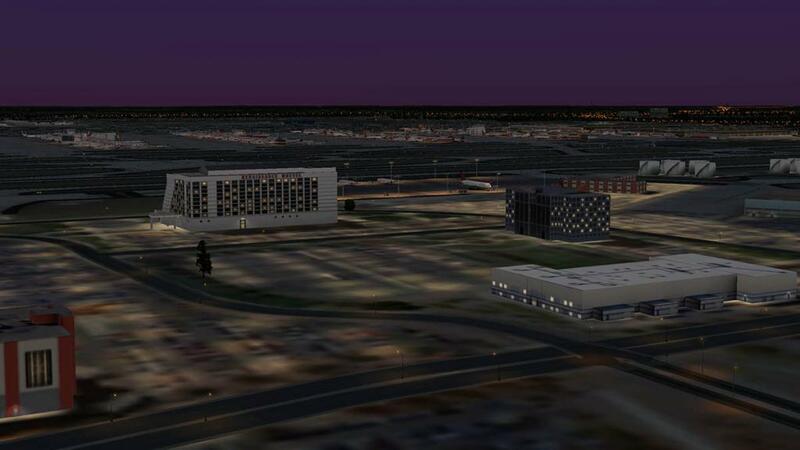 The lease was signed on April 16, 1925, by Mayor Walter Sims, who committed the city to develop it into an airfield. As part of the agreement, the property was renamed Candler Field after its former owner, Coca-Cola tycoon and former Atlanta mayor Asa Candler. The first flight into Candler Field was on September 15, 1926, a Florida Airways mail plane flying from Jacksonville, Florida. In May 1928, Pitcairn Aviation began service to Atlanta, followed in June 1930 by Delta Air Service. 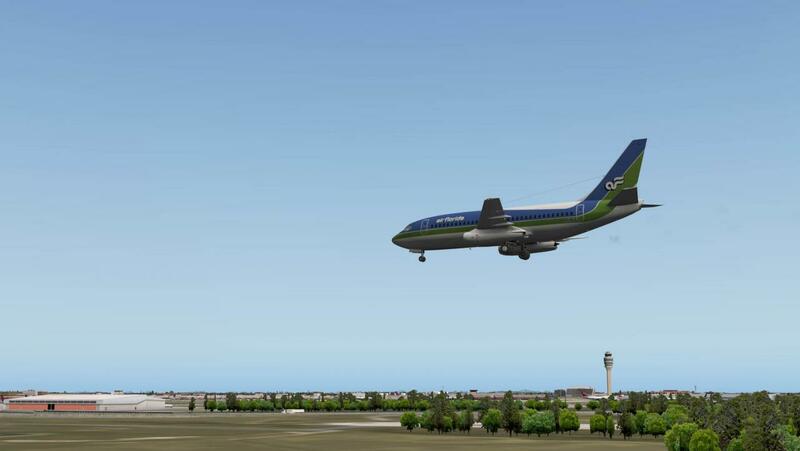 Later those two airlines, now known as Eastern Air Lines and Delta Air Lines, respectively, would both use Atlanta as their chief hubs. It was already a very busy airport from its inception and by the end of 1930 it was third behind New York City and Chicago for regular daily flights with sixteen arriving and departing. Candler Field's first control tower opened on March 1939. 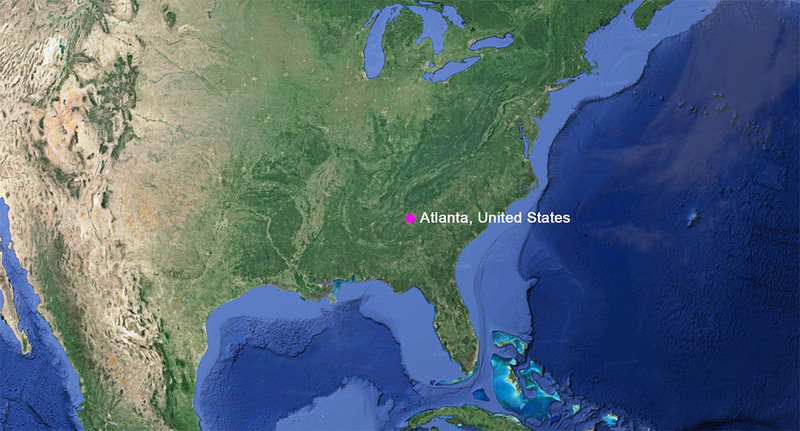 In October 1940 the U.S. government declared it a military airfield and the United States Army Air Forces operated Atlanta Army Airfield jointly with Candler Field. The Air Force used the airport primarily for servicing of transient aircraft, with many types of combat aircraft being maintained at the airport. 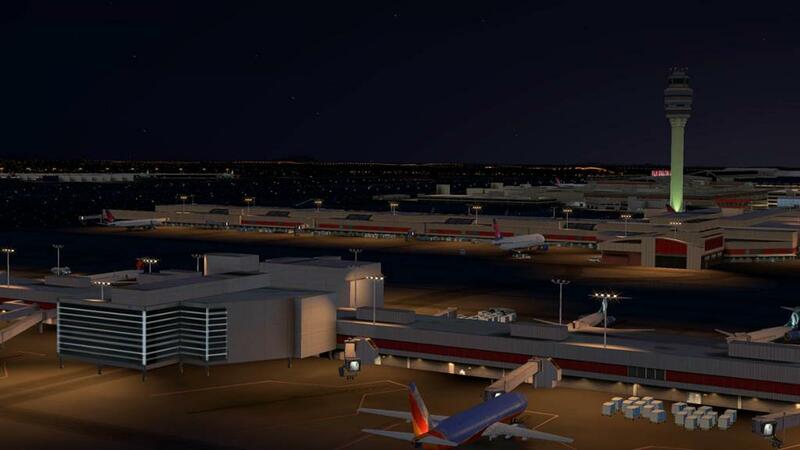 During World War II the airport doubled in size and set a record of 1,700 takeoffs and landings in a single day, making it the nation's busiest airport in terms of flight operation. Atlanta Army Airfield closed after the war. In 1946 Candler Field was renamed Atlanta Municipal Airport and by 1948, more than one million passengers passed through a war surplus hangar that served as a terminal building. Delta and Eastern had extensive networks from ATL, though Atlanta had no nonstop flights beyond Texas, St Louis and Chicago until 1961. 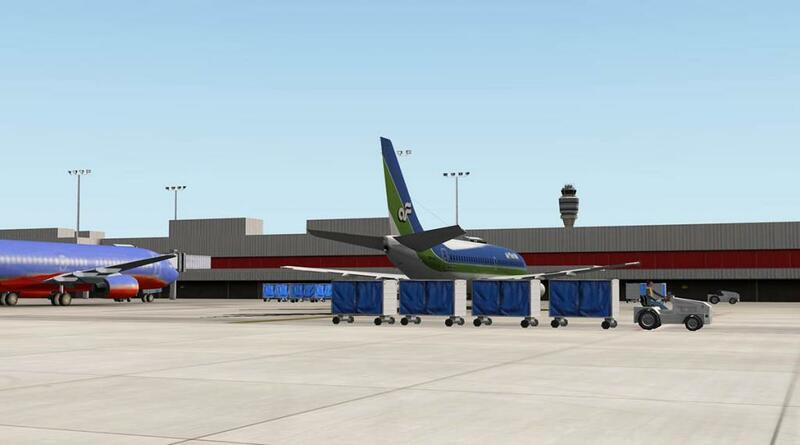 Southern Airways established itself at ATL after the war and had short-haul routes around the Southeast until 1979. On June 1, 1956 an Eastern flight to Montreal, Canada was the first international flight out of Atlanta. 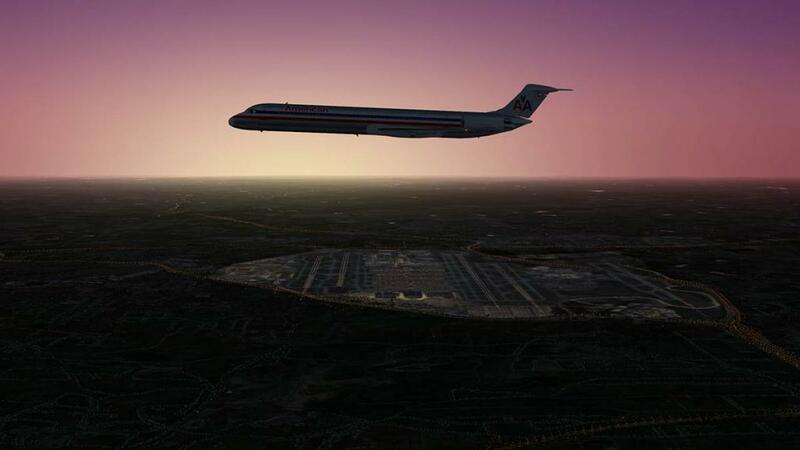 Atlanta's first scheduled international flight was the Delta/Pan Am interchange DC-8 to Europe starting in 1964; the first scheduled nonstop to a foreign country was Eastern's flight to Mexico City around 1972. Nonstops to Europe started in 1978 and to Asia in 1992–93. 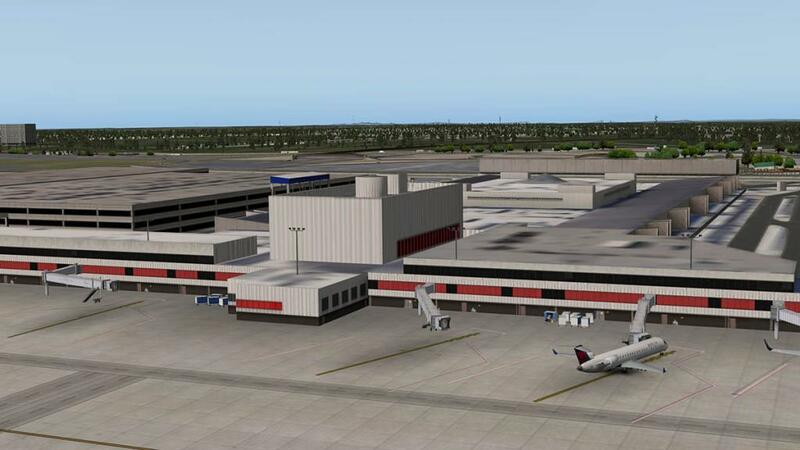 In 1957 work began on a new terminal; and on May 3, 1961, the new $21 million terminal was opened. It was the largest in the country and could handle over six million travelers a year, and the first year nine and half million people passed through. In March 1962 the longest runway (9/27, now 8R) was 7,860 feet (2,400 m) was also opened. 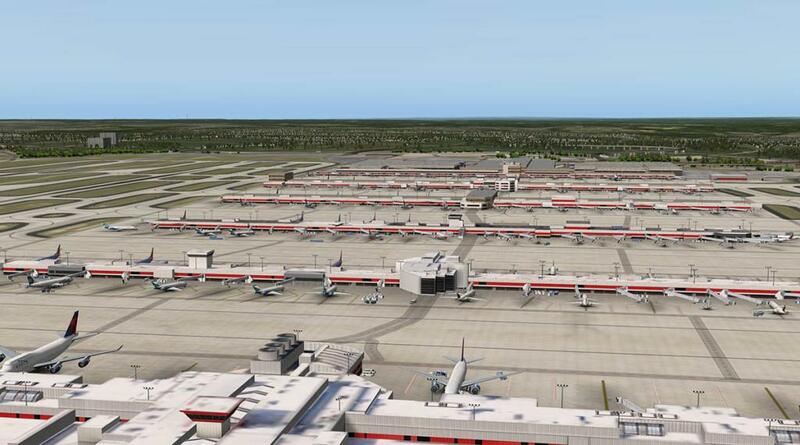 In 1967 the city and the airlines began work on a plan for development of Atlanta Municipal Airport. Construction began on the present midfield terminal in January 1977 under the administration of Mayor Maynard Jackson. It was the largest construction project in the South, costing $500 million which was a lot of money at the time. 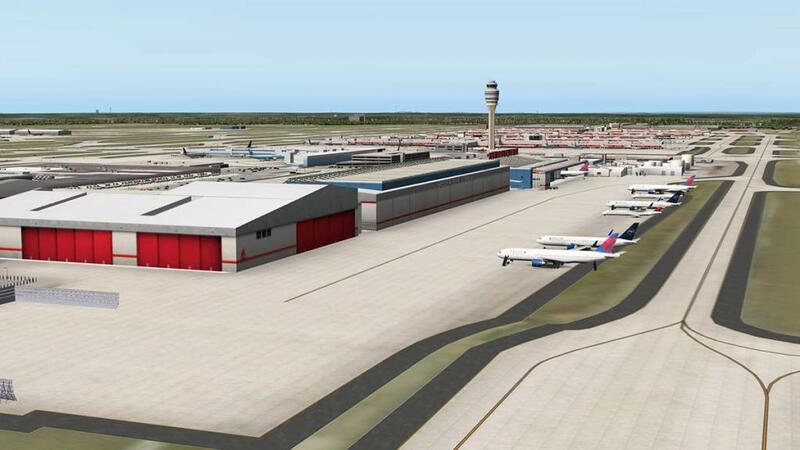 Named for former Atlanta mayor William Berry Hartsfield, who did much to promote air travel, William B. Hartsfield Atlanta International Airport opened on September 21, 1980, on-time and under budget. 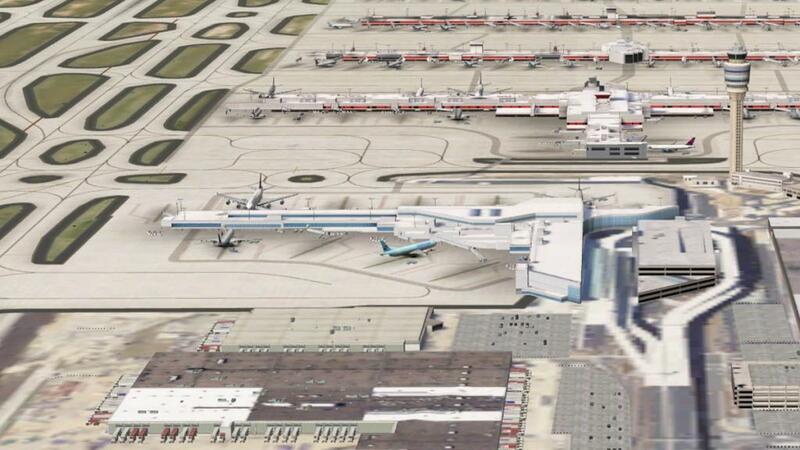 It was designed to accommodate up to 55 million passengers per year and covered 2.5 million square feet (230,000 m²). In December 1984 a 9,000-foot (2,700 m) fourth parallel runway was completed and another runway was extended to 11,889 feet (3,624 m) the following year. 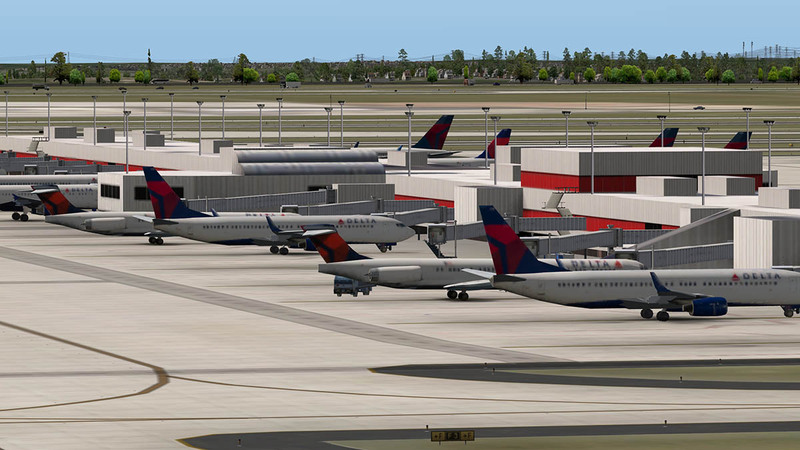 Although Eastern was a larger airline than Delta at the time until airline deregulation in 1978, Delta was an early adopter of the hub and spoke route system, with Atlanta as its primary hub between the Midwest and Florida, giving it an advantage in the Atlanta market. 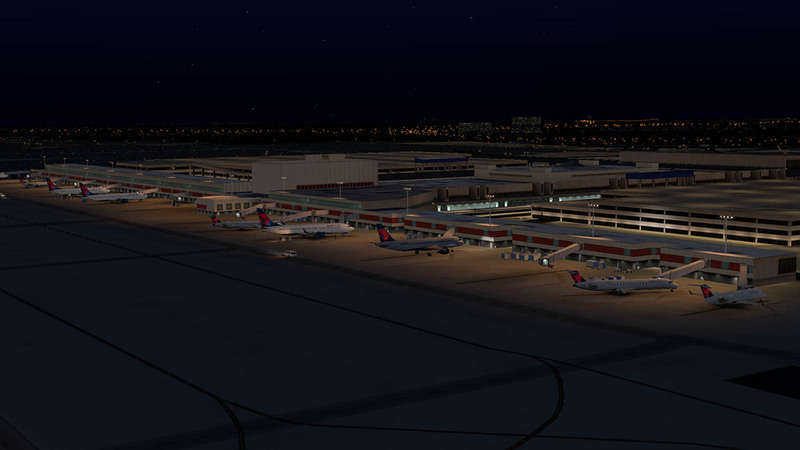 Eastern ceased operations in 1991 due to labor issues leaving Delta with the only major airline hub in Atlanta. In May 2001 construction of a 9,000-foot (2,700 m) fifth runway (10–28) began. It was completed at a cost of $1.28 billion and opened on May 27, 2006. 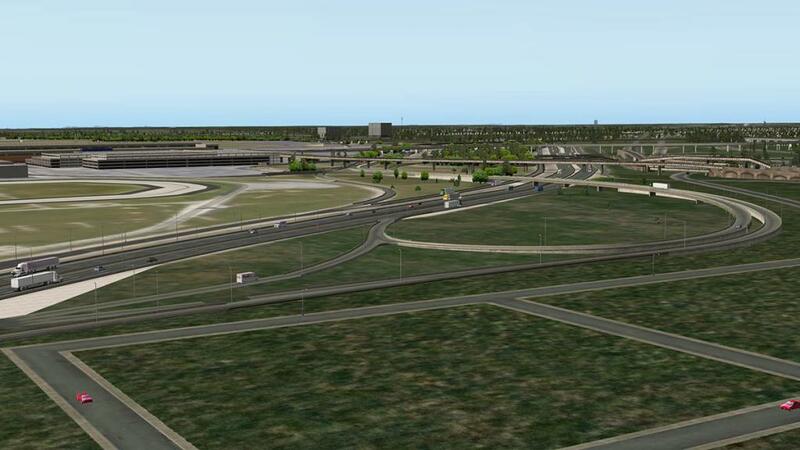 It bridges Interstate 285 (the Perimeter) on the south side of the airport, making Hartsfield–Jackson the only civil airport in the nation to have a runway above an interstate highway. 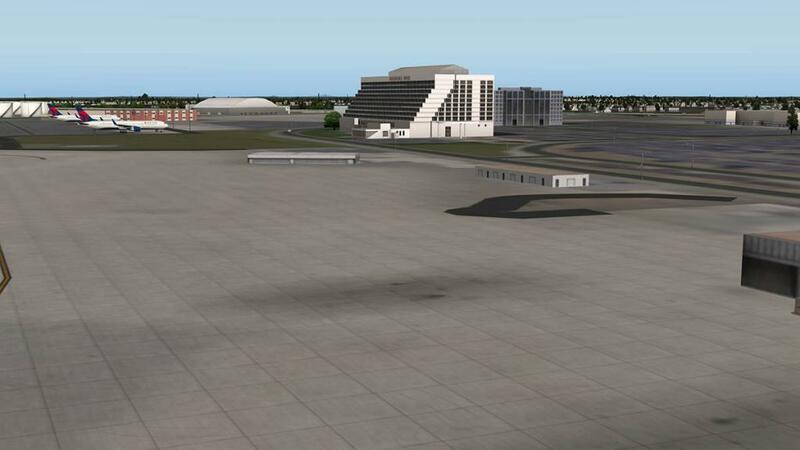 Runway 10–28 was added to help ease some of the traffic problems caused by landing small- and mid-size aircraft on the longer runways which are also used by larger planes such as the Boeing 777, which need longer runways than the smaller planes. With the fifth runway, Hartsfield–Jackson is one of only a few airports that can perform triple simultaneous landings at the same time. (that should overclock your computer!). 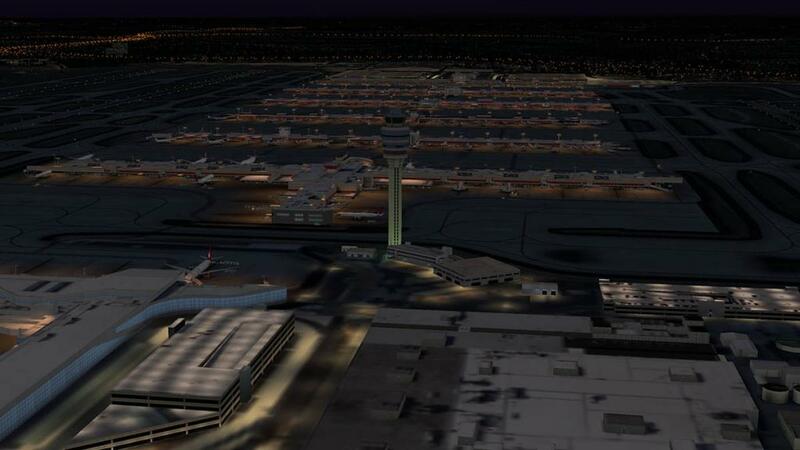 A new control tower was then required to see the entire length of the runway. 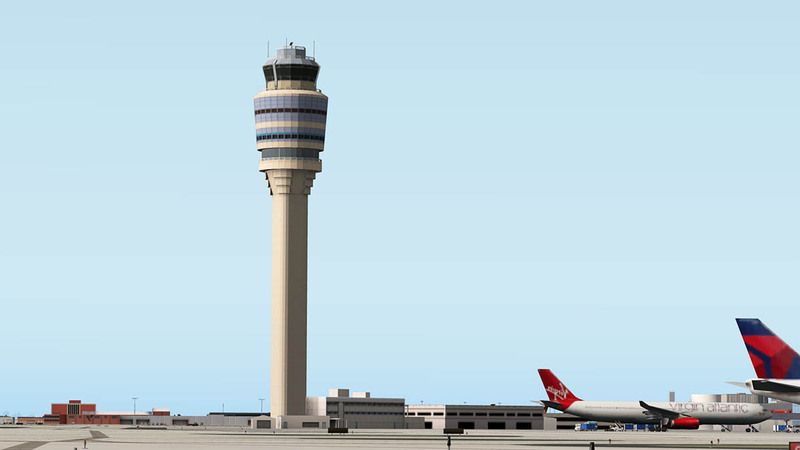 The new control tower is the tallest in the United States, with a height of over 398 feet (121 m). 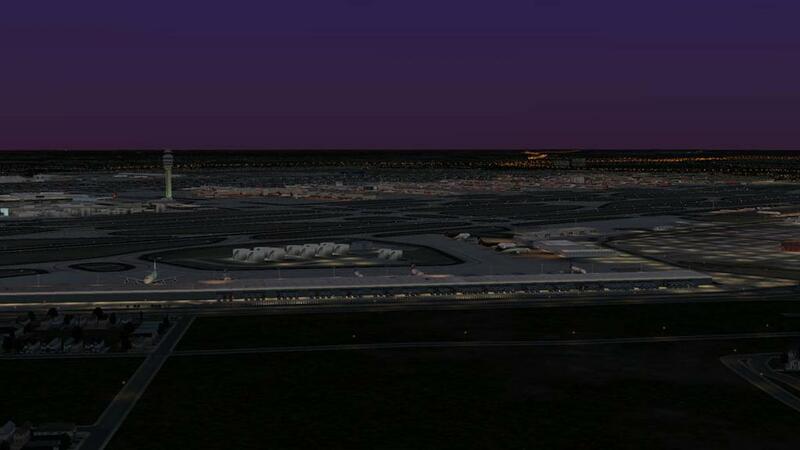 The old control tower, 585 feet (178 m) away from the new control tower, was demolished August 5, 2006. 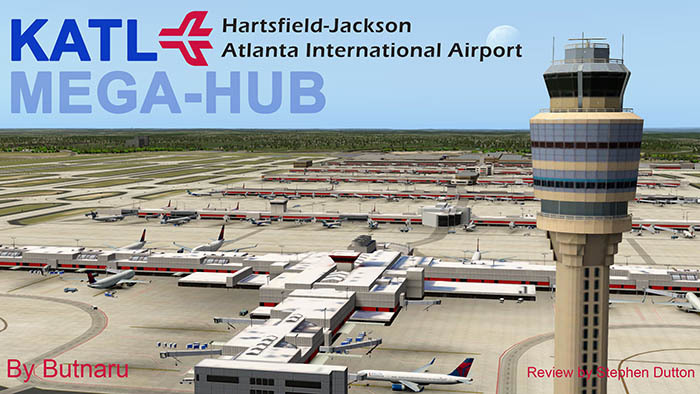 Atlanta City Council voted on October 20, 2003 to change the name from Hartsfield Atlanta International Airport to the current Hartsfield–Jackson Atlanta International Airport, in honor of former mayor Maynard Jackson, who died on June 23, 2003. 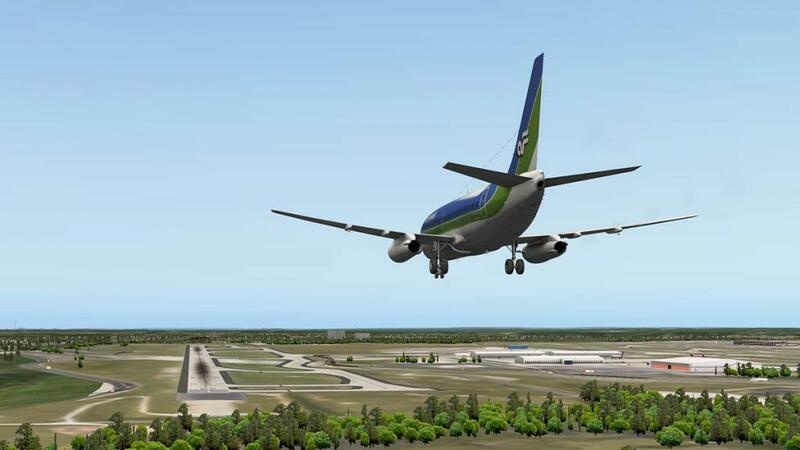 Butnaru has created a significant portfolio of sceneries for X-Plane. 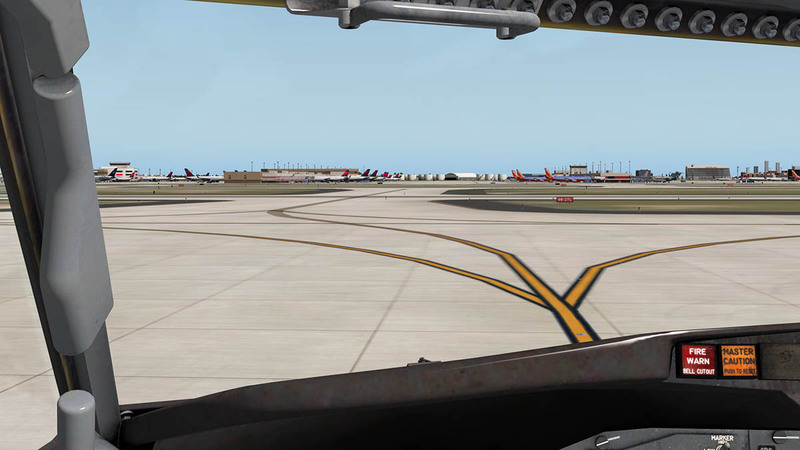 His work covers some of the most significant airports in the United States, including KORD (Chigago), KMIA (Miami), KFLL (Fort Lauderdale–Hollywood), KLGA (LaGuardia Airport N.Y.), KEWR (Newark Liberty Intl N.Y.), KBUF (Buffalo-Niagara) and MPTO (Tocumen International, Panama), and all are very popular and highly useable. 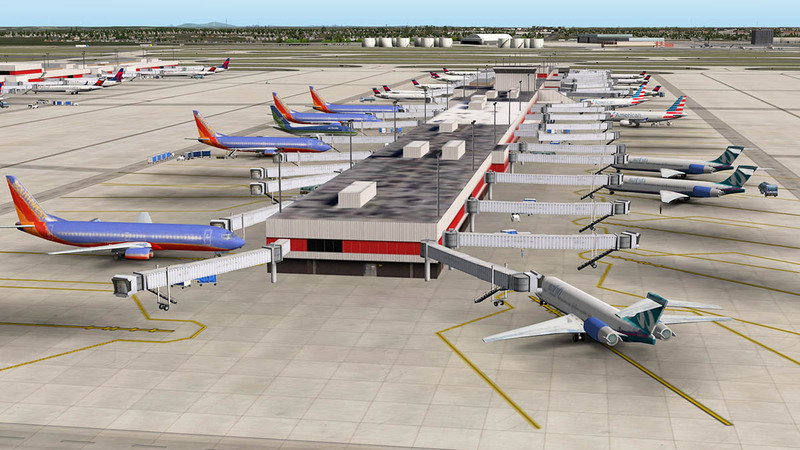 In fact it is quite a network of work that will see KPHX (Phoenix Sky Harbor) as the next published scenery. 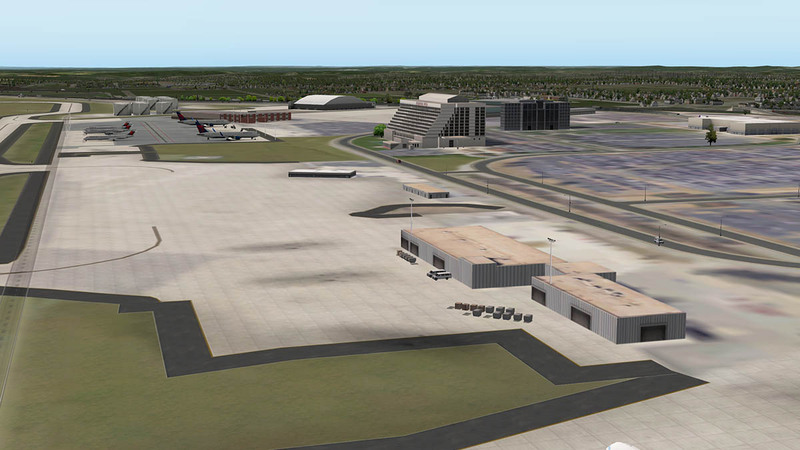 Attempting KATL however is another thing entirely, It's size alone is daunting, and this is a huge piece of scenery to create. The problem that developers are faced with a scenery this size is how much can I leave in and deliver in detail and what should I leave out so your computer doesn't crash to its knees. You are not going to get the high detailing of barrels of aviation fuel and picket fences at the sort of level of size that you do at KATL and as a review of the scenery you have take that into consideration. 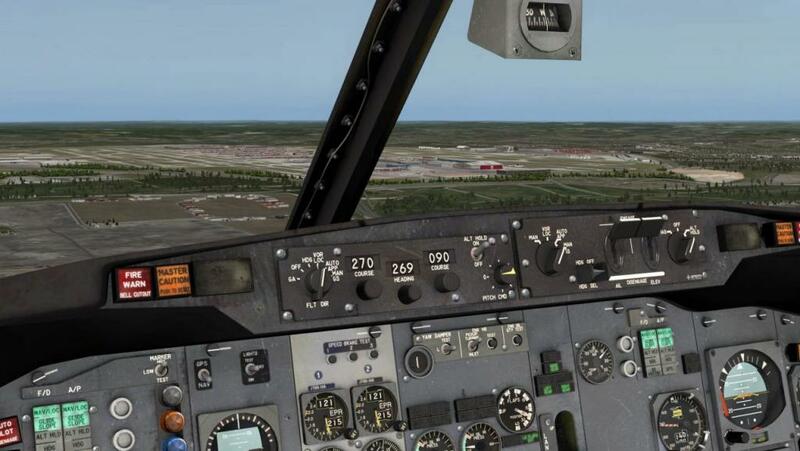 Yes some major hubs have had the full treatment, however they are usually created by an army of artists, and they usually come with a big frame-rate penalty like Aerosoft's EHAM. 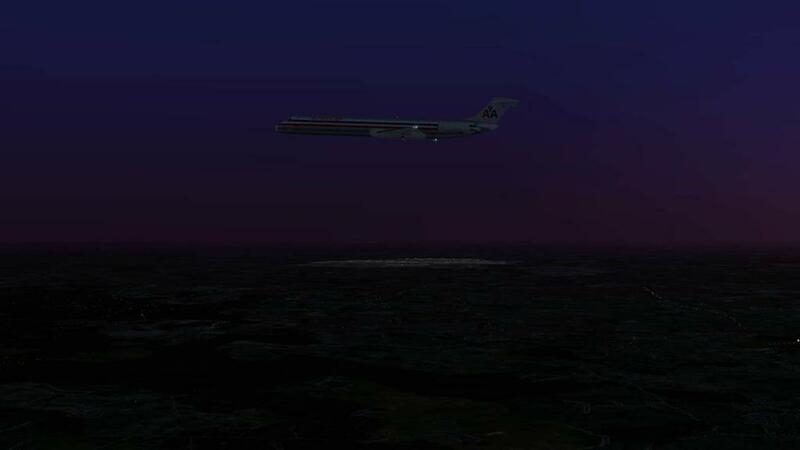 My RNAV arrival from KFLL is via "TERII"- (via KNDBM) - DACTL - ANIEE- FOGER (DACTL - ANIEE- FOGER are not in X-Plane? 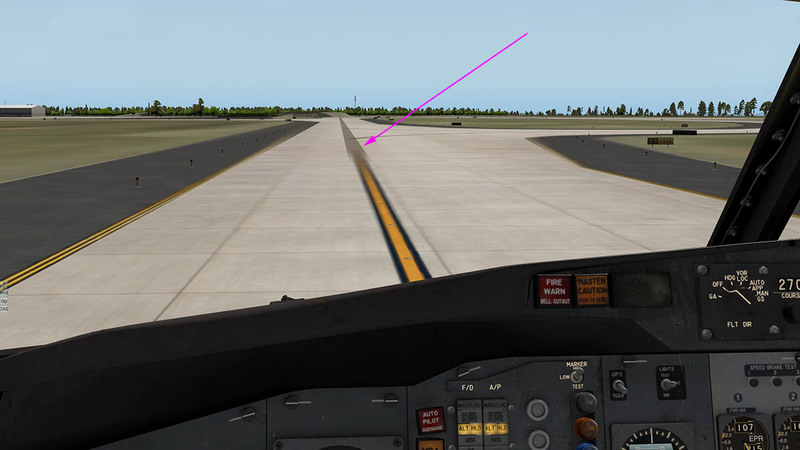 so I used SOFOR - JOKEY - BWNKL) - JUBBA for a landing on the shortest of KATL's runways in RWY28 (8L/26R is the same length but it looks shorter). 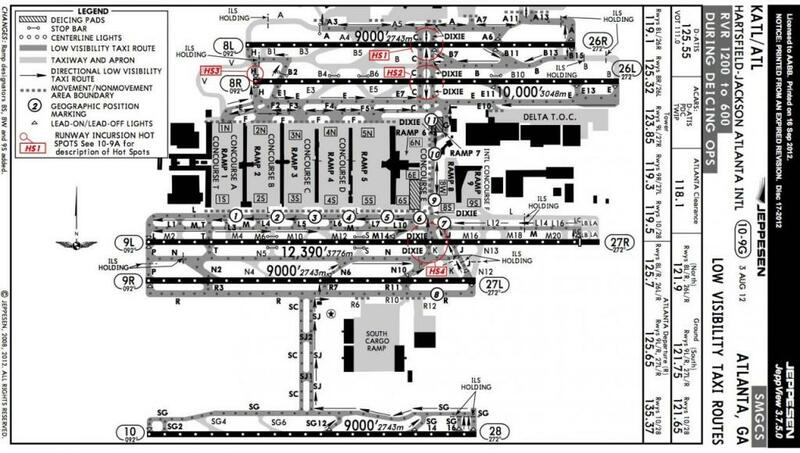 There are no charts provided with the scenery (boo-hiss) so this is a good Jeppesen set here. 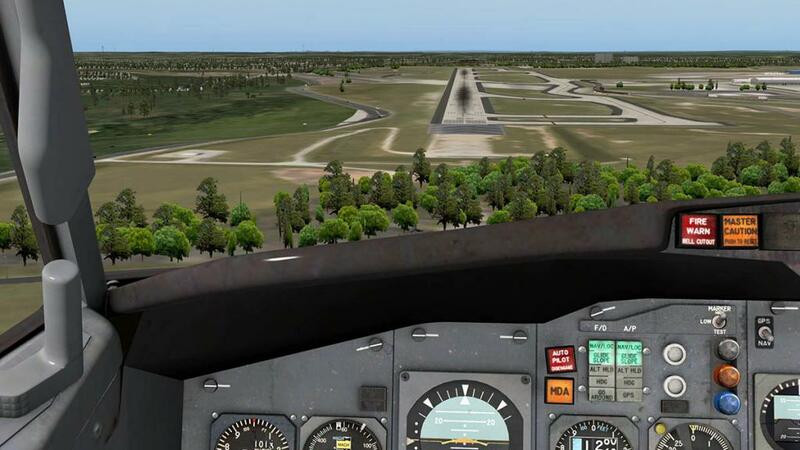 "ALCOVY NDB" ("VOF" 370) is a good target nav-aid for all runways for all eastern side KATL arrivals "CARROLLTON NDB" ("GPQ" 278) is good on the western side. 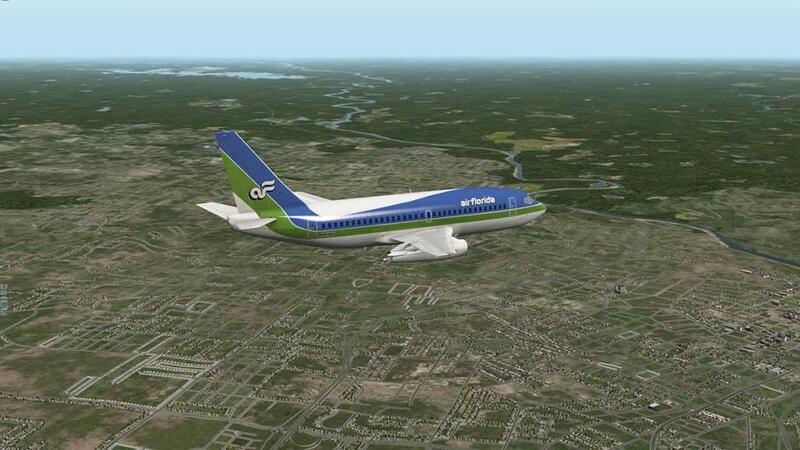 My ride is FlyJSim's great Boeing 732 in Air Florida colours. At "JOKEY" it was a straight in arrival and the huge mass of KATL looms on my slight right. 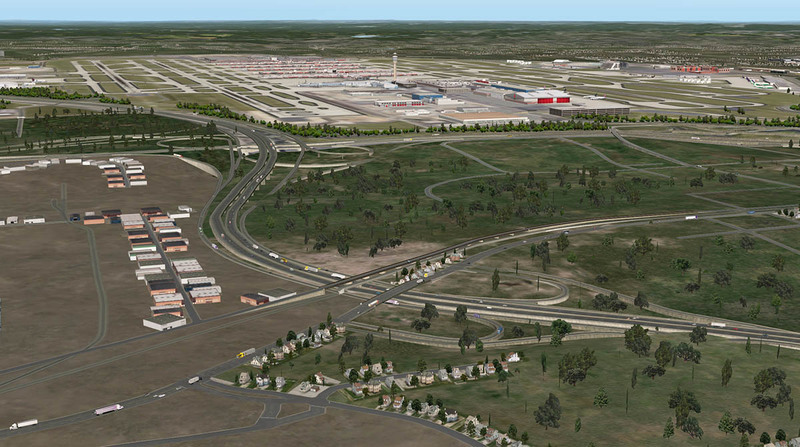 The area around Hartsfield–Jackson is quite flat, so there are no obstacles to be aware of, on the approach there is a lot of traffic looping around below you with the crossing intersections of interstates 75 and 285 as the noted "The Perimeter". 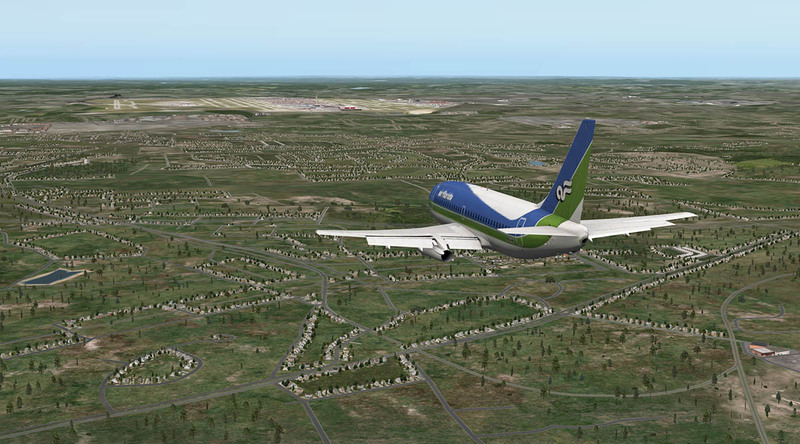 From a small distance out you do notice the differences between the surrounding default terrain and the custom scenery photo (ortho) terrain as the latter is a lighter green, the joins however are kept in check by the loops of the complex traffic highways, but it is noticeable. 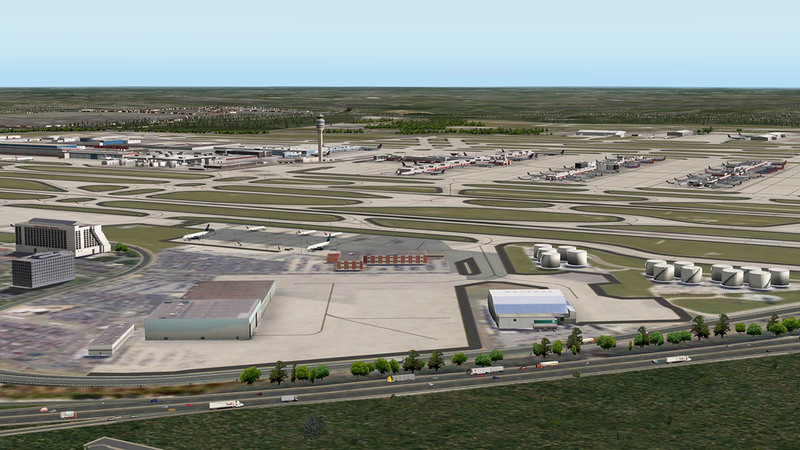 In the far distance KATL looks very impressive and certainly looks like the huge scenery it is. 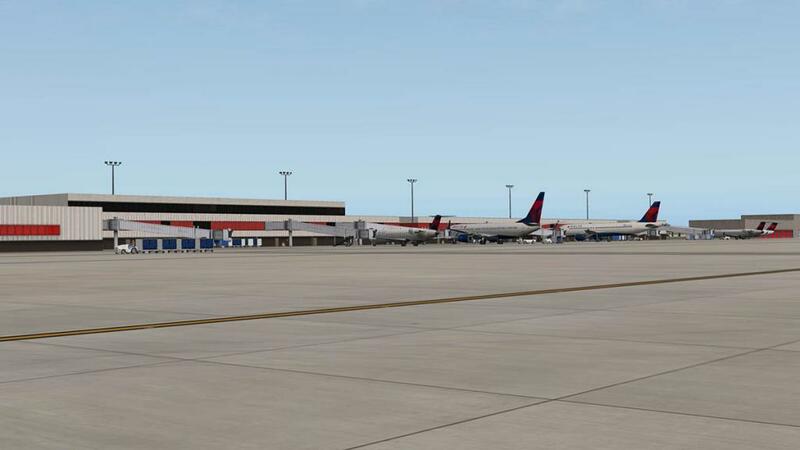 From this point of view it certainly gives you a very good impression of what a KATL arrival would look like in reality. 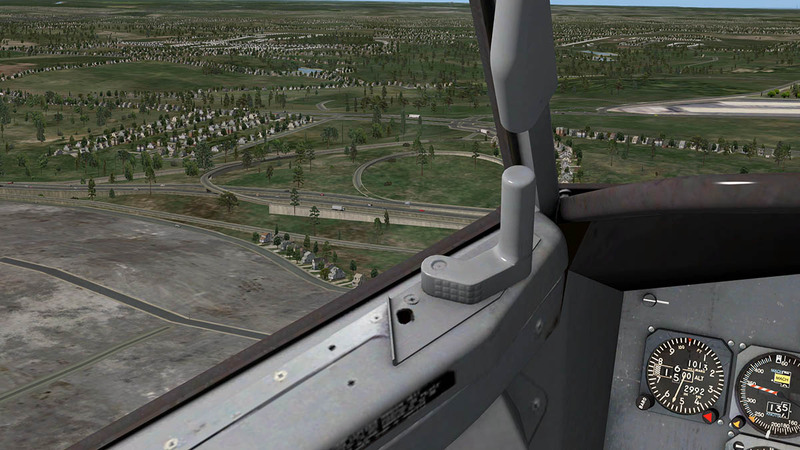 RWY28 is quite a fair ride to main central area of complexes and concourses, so you had better allow for the time and the fuel to taxi for a fair period and distance on the ground. 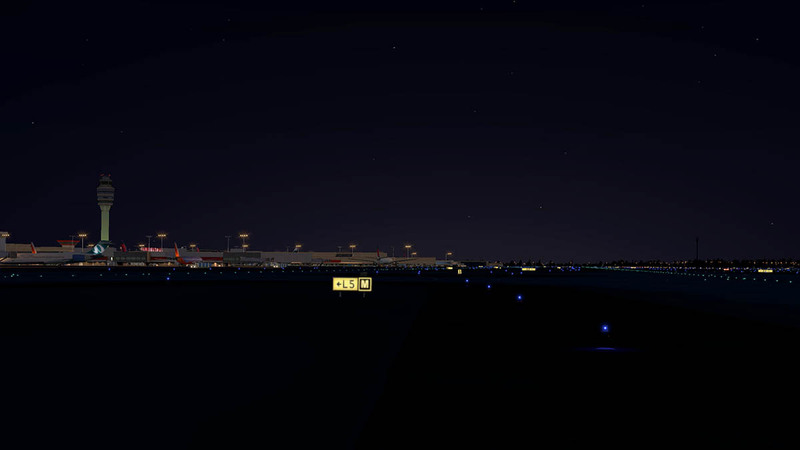 It is worth it because the the view and sense of arrival is very good, one point is that the guiding taxi line doesn't track off into the distance, but simply blurs away in front of you as you move forward which is not very realistic. 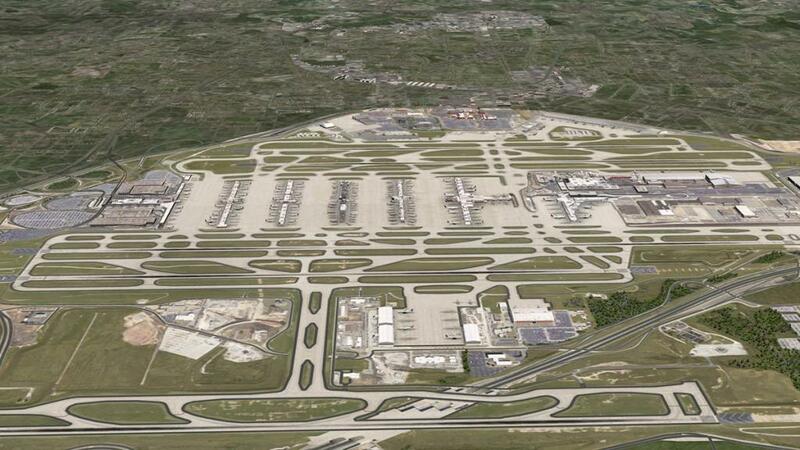 The taxiway linage is still however in being very good at guiding you around as is the taxiway signage (Taxiway points: SC - R - R7 - N6 - M12 - A5 - Ramp 3) the long point list here can show you that you really need to plan ahead to find your correct path to the right ramp and concourse. 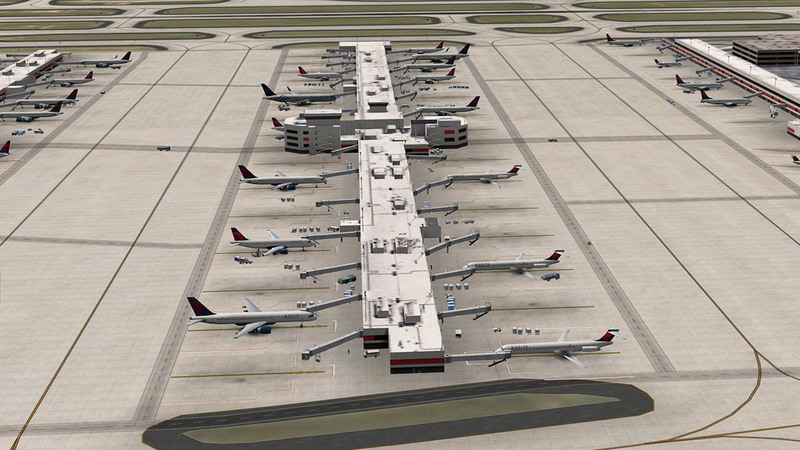 The crossing and waiting at two major operating runways can also slow you down as well. Moving along the ramp line gives you bay after bay of a possible berth, so again it helps to note were you are going to park as there are no gate numbers on the gates or any on the ramps? 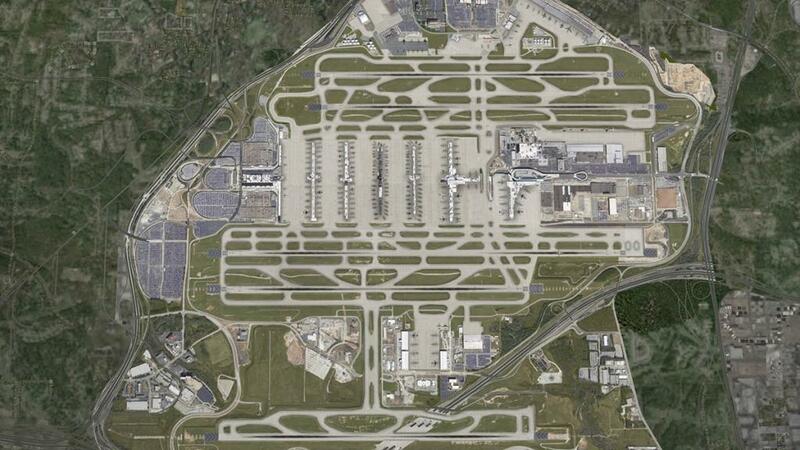 (KATL has the ramp lines noted). Animations are excellent with working workers (a Butnaru speciality) and lots of animated baggage carts and vehicles. 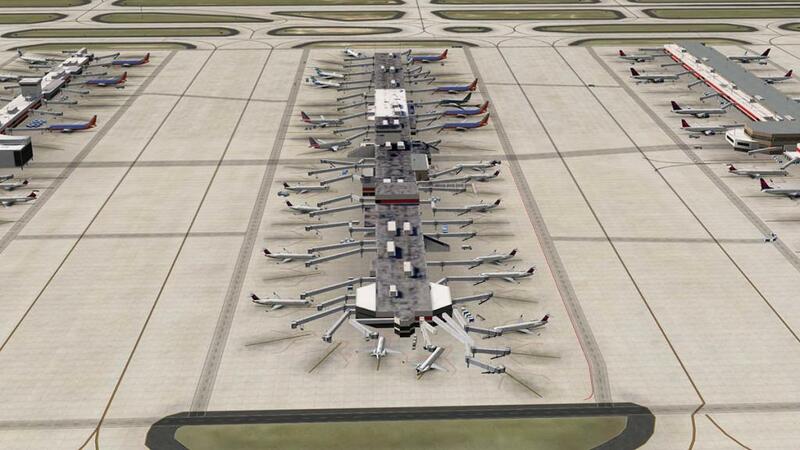 They certainly give KATL a great buzzy busy feeling. Gate C14 was my berth so I slowed and turned the Boeing into its slot (and it feels like a slot among many) and in the gate there was some ready baggage carts, truck and a van but otherwise it felt quite empty, the jetway/airbridge stayed stationary on engine shut down that noted no animated jetways/airbidges were present in the scenery. 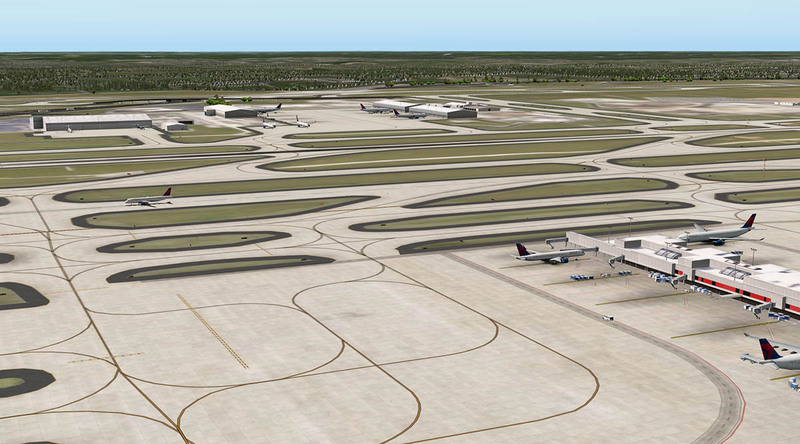 Although KATL is mega-big, it is surprisingly quite a simple layout. 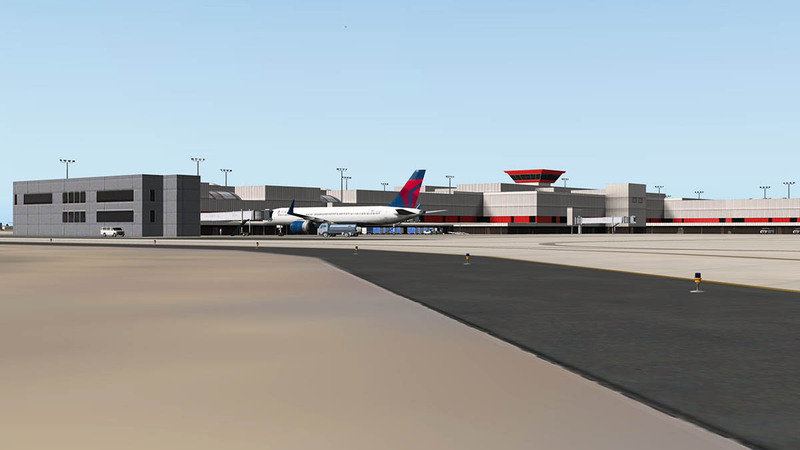 Main Domestic Terminal (Concourse T) is on the west end and the new International Terminal is on the east end (Concourse F), and in-between there are five more concourses in A,B, C, D and E although the E concourse carries international traffic as well. The areas between each Concourse is noted by their ramp number in Ramp 1 (T and A), Ramp 2 (A and B ), Ramp 3 (B and C), Ramp 4 (C and D), Ramp 5 (D and E) but as Terminal E is not a straight concourse the ramps are split into (north) Ramp 6 and (south) Ramp 6, Ramp 7 is the de-icing ramp in front of the control tower. 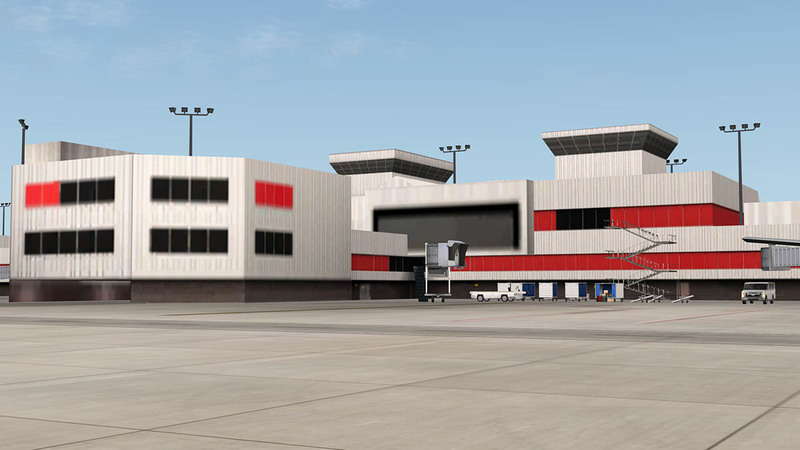 Ramp 8 is the west side of the international terminal (F) and Ramp 9 the east side. 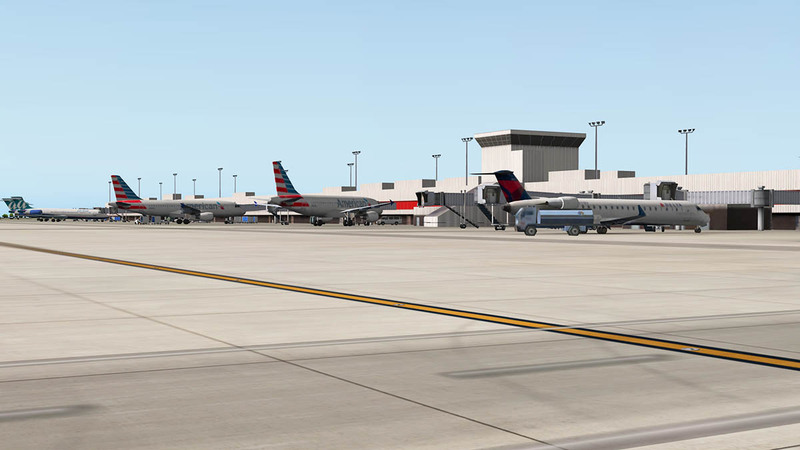 There are two cargo areas in "North Cargo" and "South Cargo" and a small General Aviation area by the side of north cargo. 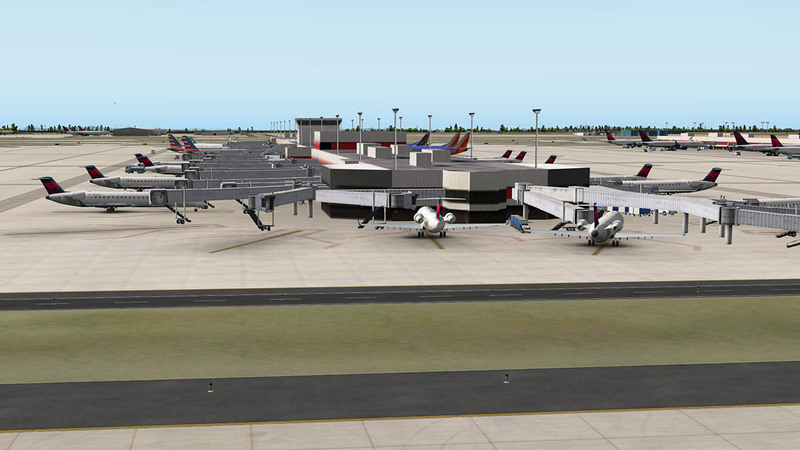 Delta Airlines rules completely at Hartsfield–Jackson and has a large maintenance base and as was AirTran a small one. 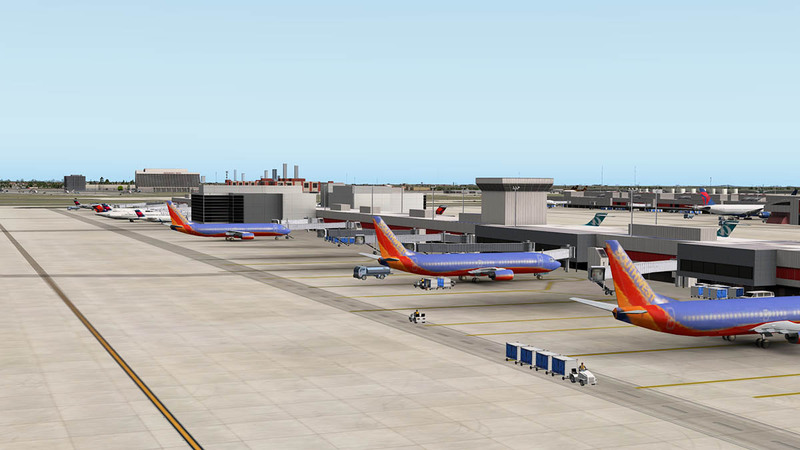 AirTran is now merged with Southwest and the Texan Airline has a big presence here as well. 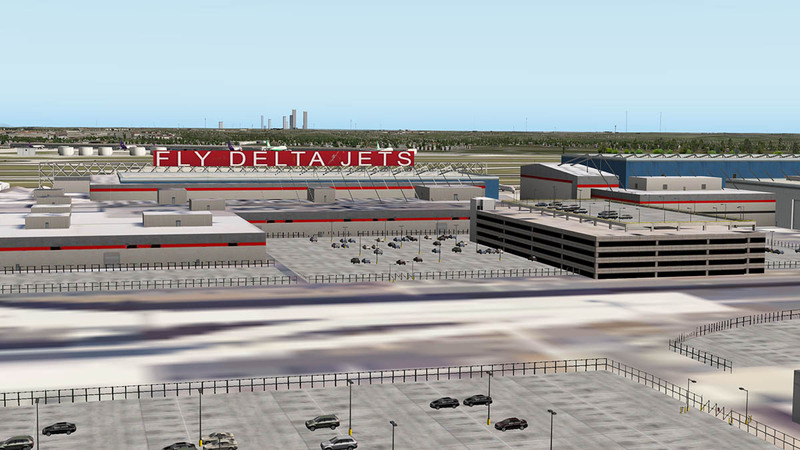 The control tower complex is on the corner of the L between the Delta base and the International (F) Terminal. The domestic terminal is divided into two sides for ticketing, check-in and baggage claim: Terminal South and Terminal North. Delta Air Lines and Alaska Airlines are located at Terminal South; all other domestic airlines operating from Atlanta, including the airport's second largest carrier, Southwest Airlines are located at Terminal North. 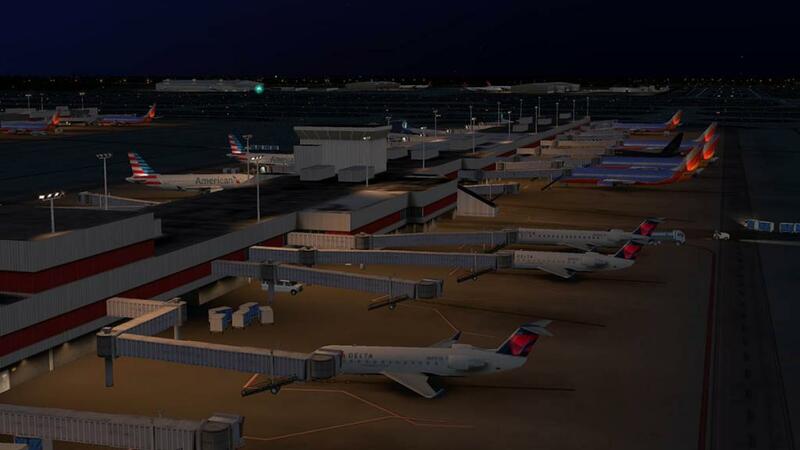 Most domestic flights arrive and depart from within concourses T, A, B, C or D. Some domestic flights depart from concourses E & F when gates at T or A–D are not available, or when an aircraft arrives as an international flight and continues as a domestic flight. 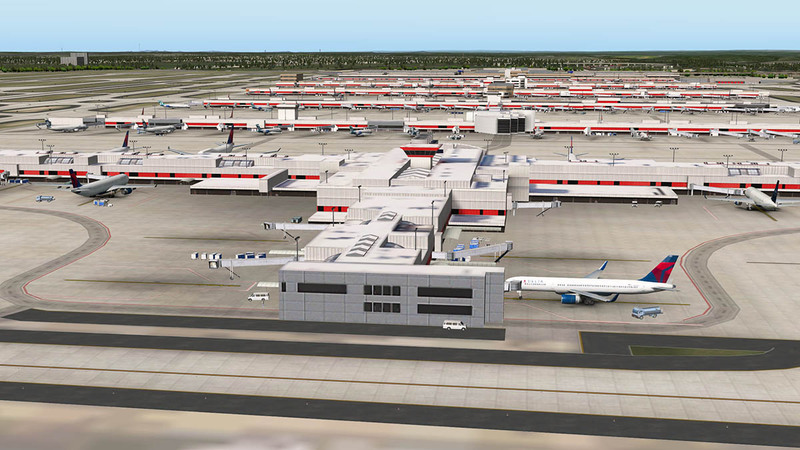 Terminal T scenery details : The domestic terminal is just a very large low rectangle box with the north and south concourses attached on the airside, there is no doubt that KATL is not going to win any architecture awards, so Butnaru can't show any design flair here. So the T terminal is well and solidly done but nothing out of the ordinary. The two carparks each side are well set out with vehicles on the roofs is the Hartsfield–Jackson Rental Car Center, which opened on December 8, 2009, and houses all ten current airport rental agencies with capacity for additional companies. The complex features 9,900 parking spaces split up between two four-story parking decks that together cover 2,800,000 square feet (260,000 m2), but the other large ground carparking areas are just very bland colourless flat images that flattens out the scenery. There is a good Fire Station situated on the end of the northern concourse section. Concourse A scenery details : Design wise Concourse A it is very good, and the best ATL scenery in detail yet, but close up it is really just a structure on a base. At the gates there is no minute items or objects that give you an in depth detail. Its not bland in any area but it does have just the basics in detail. 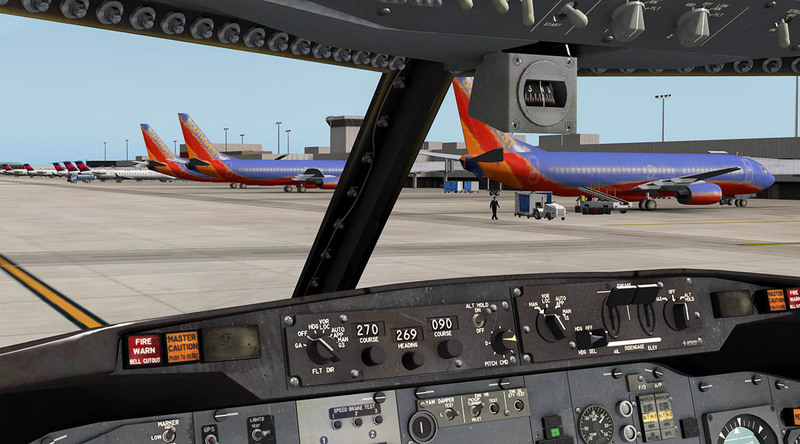 There are good selections of static aircraft at the gates if you love Delta and Southwest, but the resolution of all the static aircraft are quite poor at a "high" to "Very high" texture resolution setting. Central to the concourse is a ramp tower and reception building, any close up detailing does not exist, functional is a better word to describe most of the ramp textures. 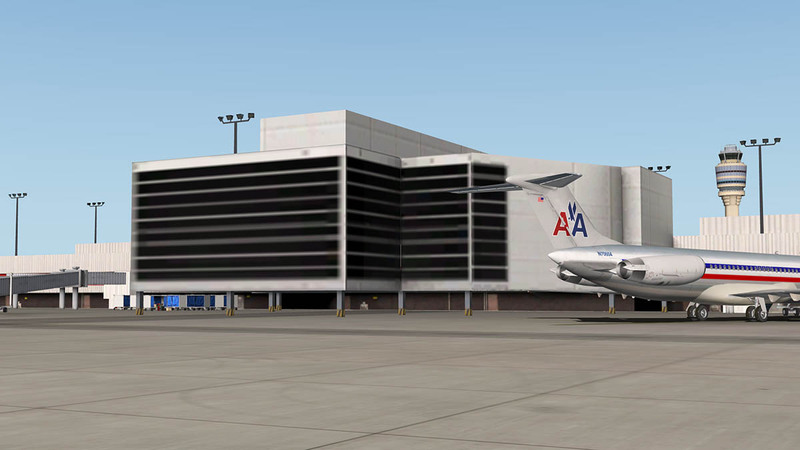 Concourse B scenery details : Concourse B is very similar to Concourse A in design but is missing the ramp tower, again functionality is very good. Overall it is a gate after gate concourse with nothing outstanding to distinguish it out from the others. Concourse C scenery details : Concourse C is the most interesting of the concourses, because the gate alignments are more varied and are not singularly just in a line. 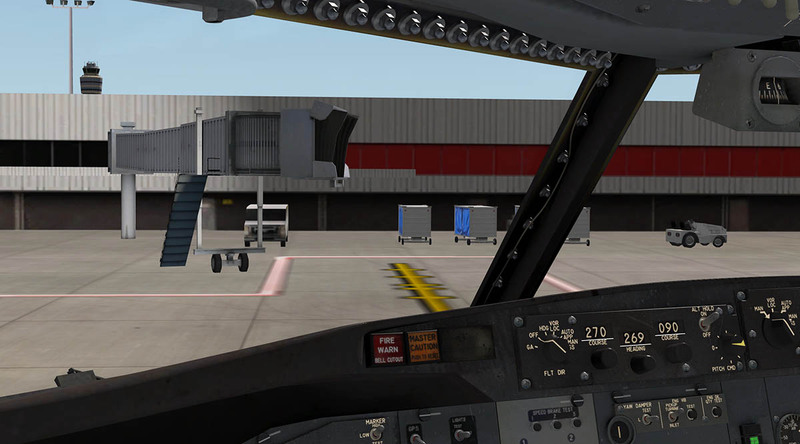 This is more of the (low rent) Low Cost Carrier style feel of the ramp. In other words I loved it! 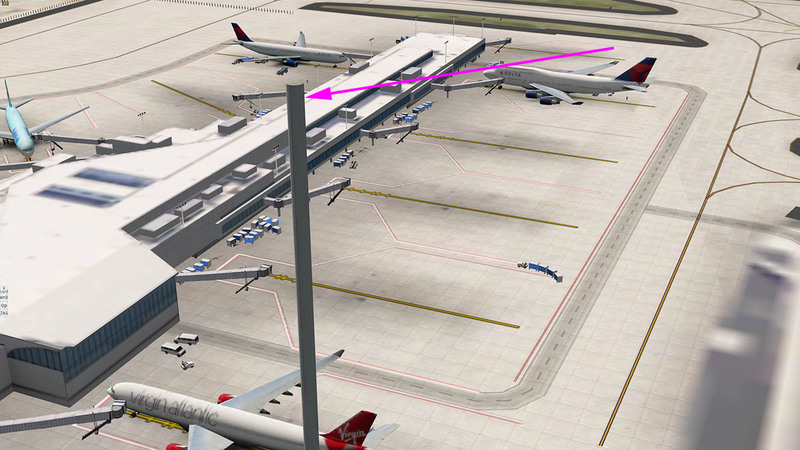 There is a small ramp tower positioned on the central position. Concourse D scenery details : Concourse D feels even more modern again because it is as it has just finished a $37 million budget to renovate and expand out Concourse D. There has been 60,000 square feet (5,600 m2) of space added, with two new escalators between the main level and the Transportation Mall, three new elevators between the second and third levels, and has be expanded with new food, beverage and retail outlets included in the two large outward facing 12 story concourse reception buildings in the central area. Butnaru has included this upgrade in the scenery and it looks very good and modern. 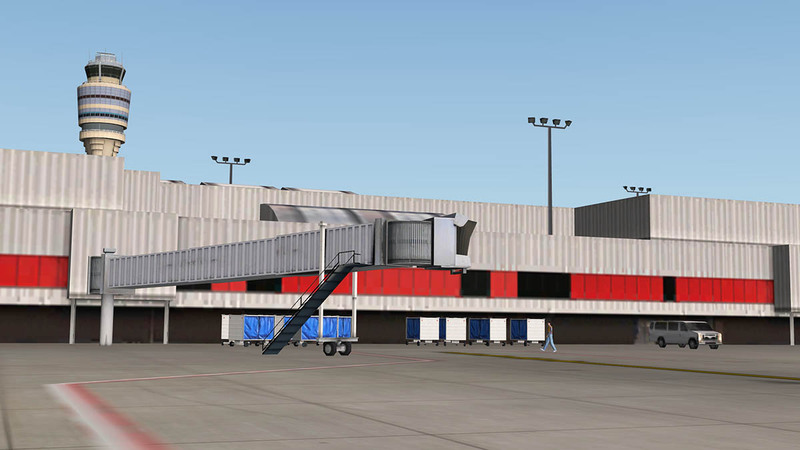 There is a small ramp tower on the southern side of the concourse. Concourse E scenery details : Concourse E was built and had been opened in September 1994 in readiness for the 1996 Summer Olympics and was the original international terminal at KATL (the north side of Concourse T was used for international flights before Concourse E was built). 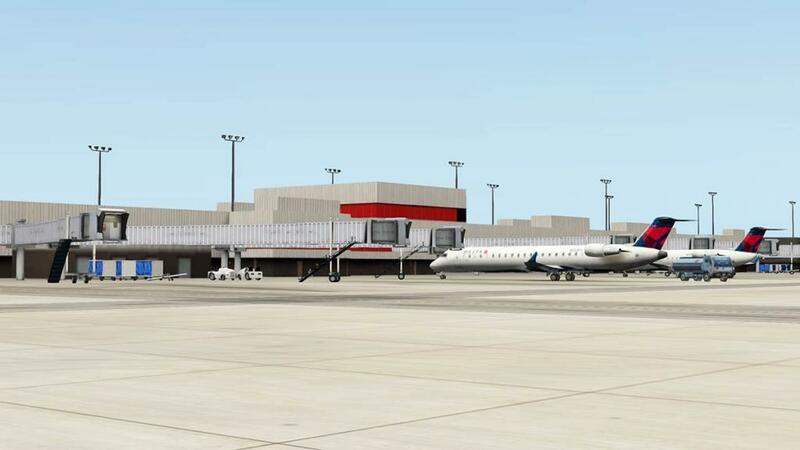 And the concourse works together with the newer Concourse F for International arrivals and departures. 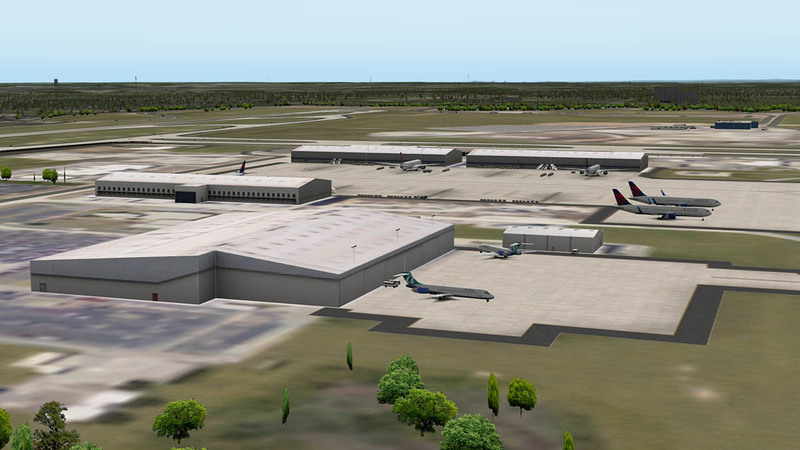 International pre-cleared flights can arrive at concourses T & A–D. 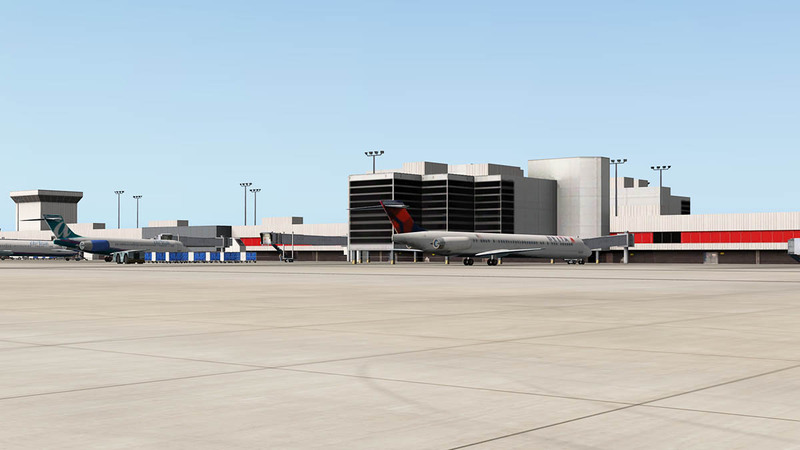 International flights can also depart from concourses T & A–D, such as when space is unavailable at concourses E or F, or when an aircraft arrives as a domestic flight and continues as an international flight. 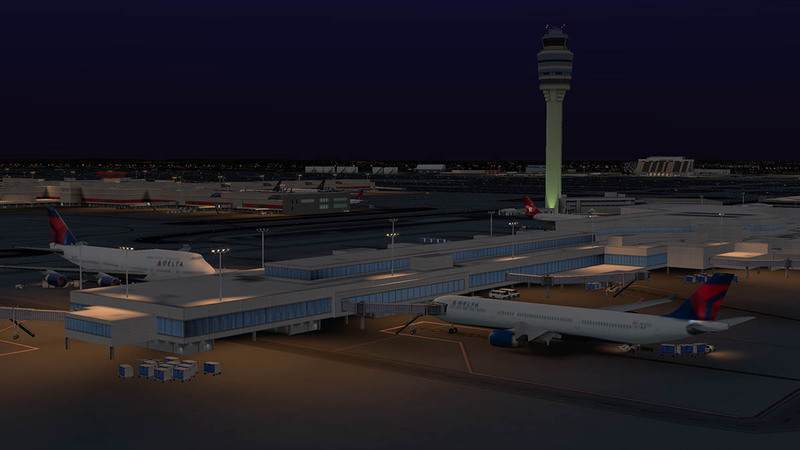 Gates E1 and E3 have been configured for A380 double (upper/lower) boarding airbridges, but they or any A380 double boarding gates are not in this scenery. Korean Air flies A380's Atlanta (ATL) - Seoul (ICN), as service KE36 and Air France are looking at a Paris - Atlanta route. Butnaru has done a great design on the largest of ATL's concourses. As Con E is slightly more different than the other straight in line concourses. There are more upper curved windows and glass areas than the usual box like older designs. 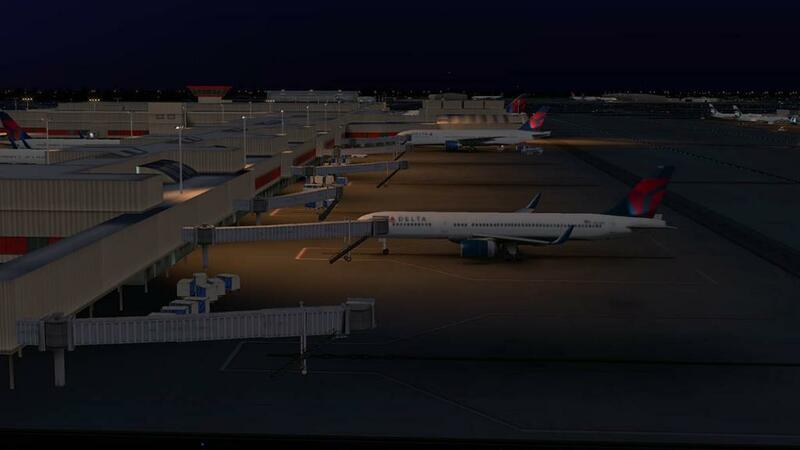 Concourse F scenery details : Concourse F is the new international terminal called the Maynard Holbrook Jackson Jr. International Terminal, that has been built on the site that had been occupied by air cargo facilities and the old midfield control tower. 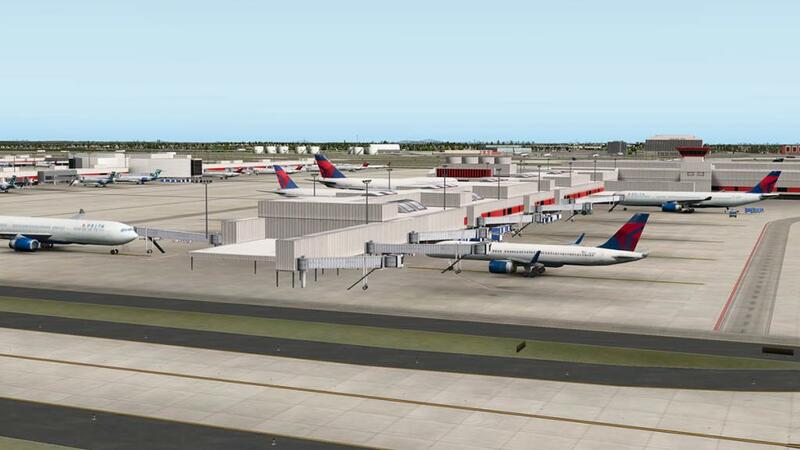 It has added twelve new gates for international carriers and is able to hold both wide-body jets and can be converted for sixteen narrow-body gates. Con F has a new check-in desks and a baggage claim area solely for international carriers, additionally the international terminal has its own parking lot just for international passengers with over 1,100 spaces. 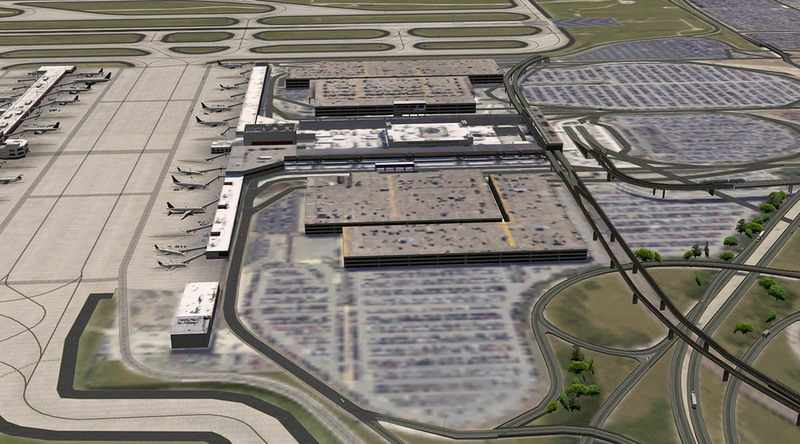 The terminal's cost at was at $1.4 billion and it opened on May 16, 2012. The new terminal is connected to Concourse E by the underground tram system. 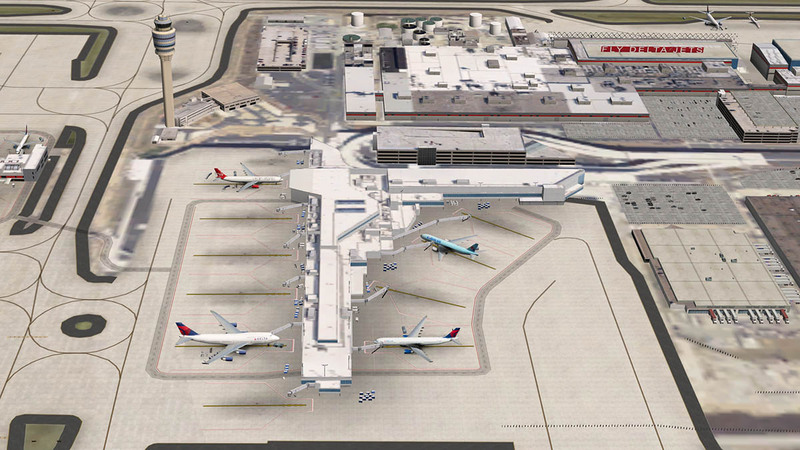 The design is carried on from Concourse E in a more modern white panel design and blue windows. All windows are good though out this scenery but there is no look inside feature that Butnaru usually uses with his glass. 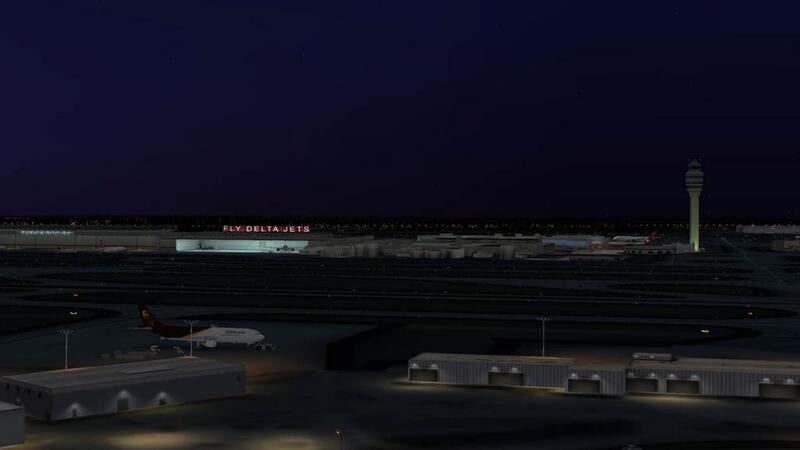 Slightly north of the new International terminal is the new control tower which is the tallest in the United States, with a height of over 398 feet (121 m). The old control tower, 585 feet (178 m) away from the new control tower was demolished August 5, 2006. 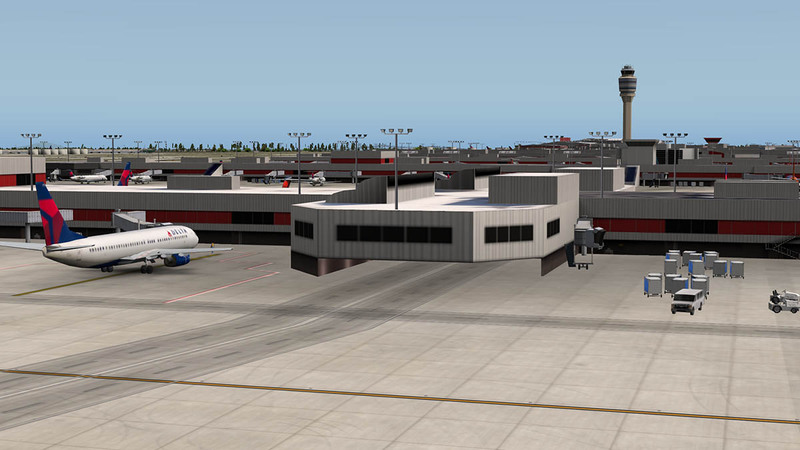 The KATL control tower was always going to be the statement piece of this scenery and it does deliver. The overall tower design is very good and well created. 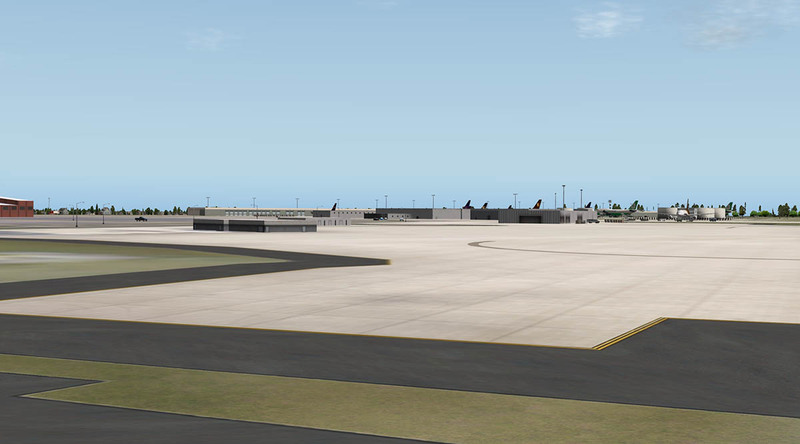 The radar does not rotate and the ground administration buildings are just textured blocks, but overall it is okay. The tower view was always going to be good this high up. You can see Louisiana from up here! and the sweep around covers all the runways and both north and south cargo areas, even if 10/28 is quite a way into the distance. On rotation some poles stick up in the view? not a big deal. 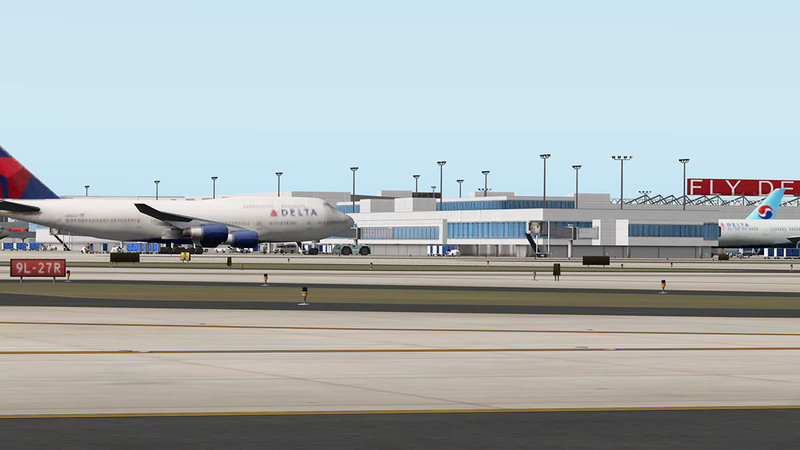 Delta rules and Delta has its main maintenance base set here on the eastern side of the airport. 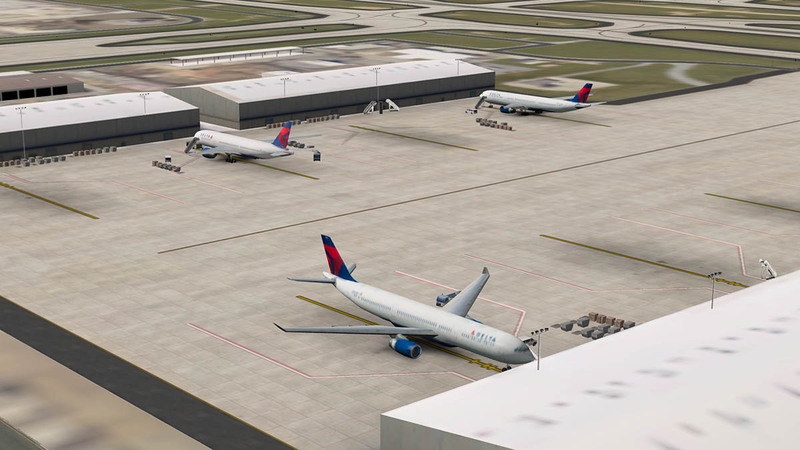 There are several large maintenance hangars and the famous "Fly Delta Jets" is there for all to see.There are rows of Delta static aircraft but not much more activity on the ramps. 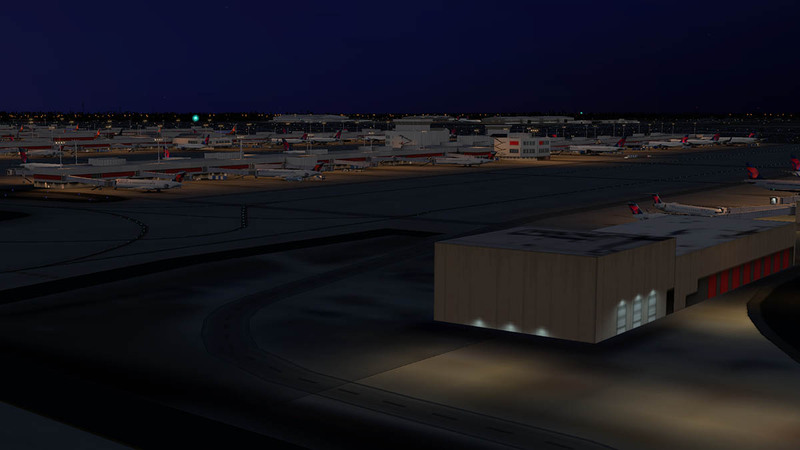 North Cargo is the larger of the two areas and is situated directly north of the control tower. 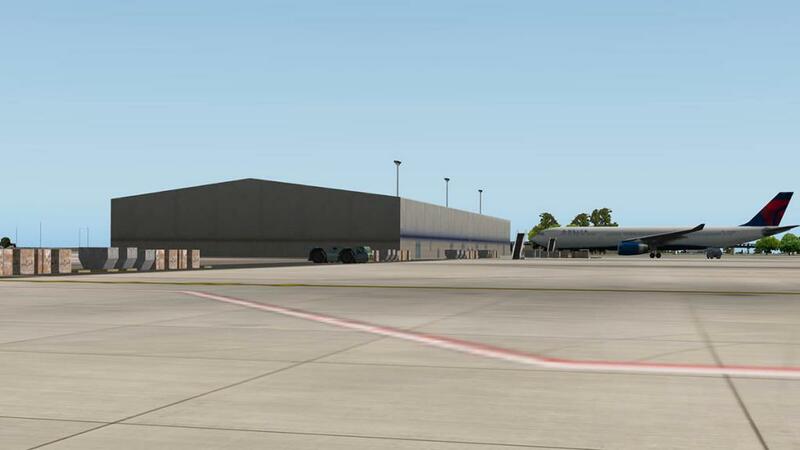 Cargo buildings are 3d objects covered in textures with some doors and windows, good but not anything special. There is pallets laid out but nothing else but static cargo jets for the usual cargo suspects of EVA Air, FedEx and UBS. 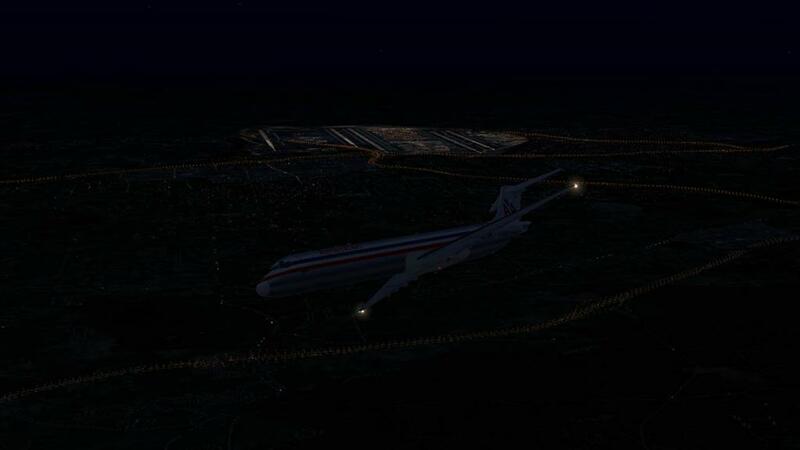 There is a big fuel depot here as well. 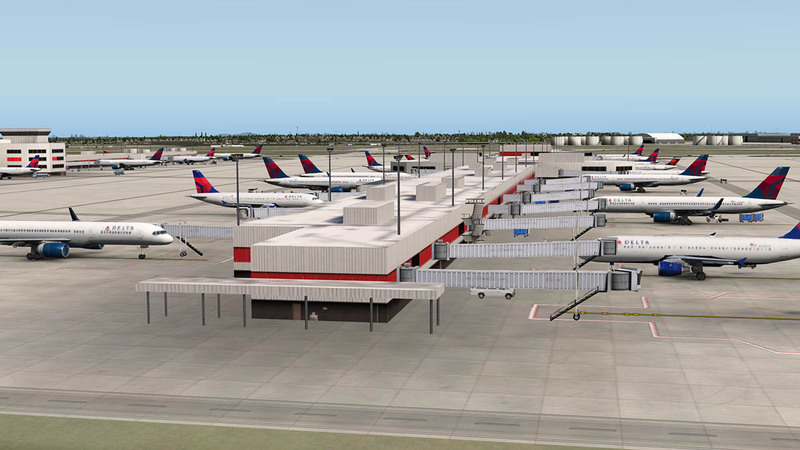 Next to the west of the North Cargo area is the General Aviation area. the area is bland as with nothing really here worth that would want you to make ATL as part of your GA "going south and need fuel, and so I will drop in..." experience. 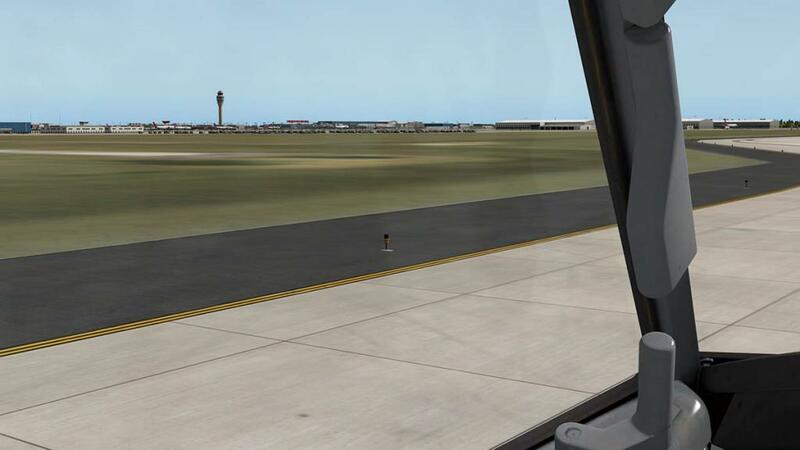 No fences, no static GA aircraft, no fuel?... just an open area? pretty poor. The main Delta administration offices and Delta museum is there behind the empty GA area but they are just placement buildings and flat carparks, The older "Fly Delta Jets" on the museum roof is also missing. More west and there is the Renaissance Hotel which is good, with a Delta parking ramp in front. far west are some more buildings and another Fuel storage depot. The South cargo are is quite small with just three cargo buildings around a ramp area. 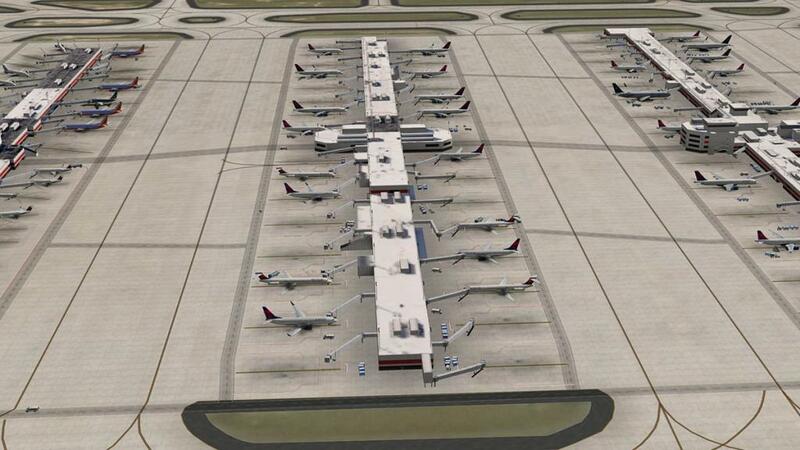 Strangely there are three static Delta passenger jets parked here and not a cargo aircraft in sight? 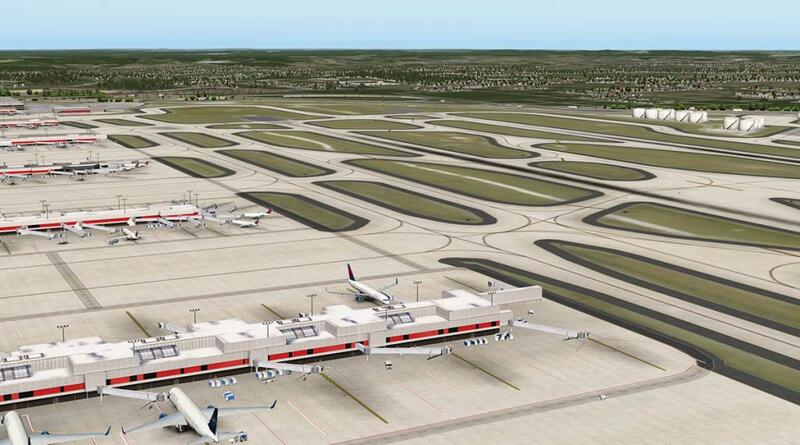 I would be seriously wanting my money back from Delta if I was disembarking my flight here? Human cargo I suppose? 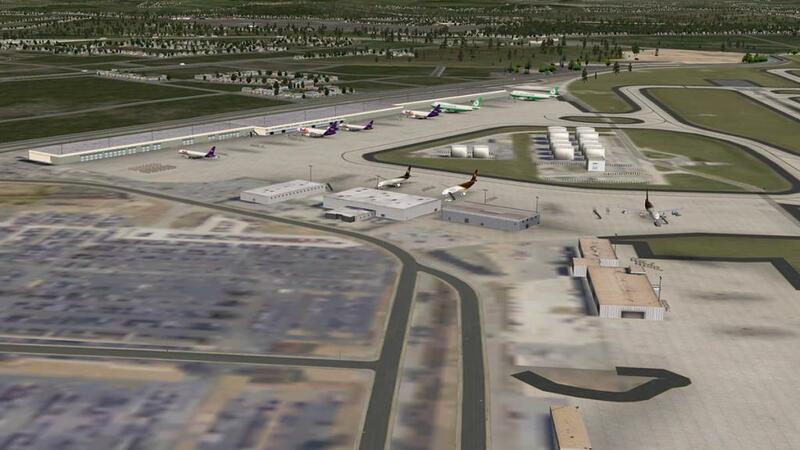 X-Plane10's traffic feature is well represented here. 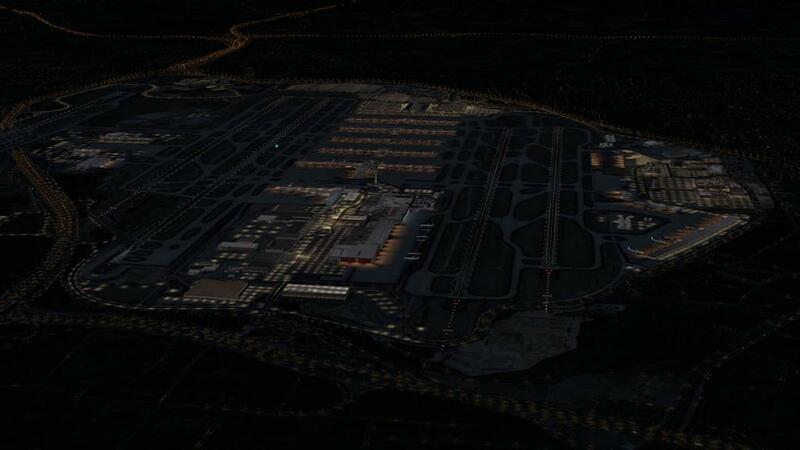 The traffic flows are excellent all round the perimeters of the airport and it looks excellent from any direction.... so turn your traffic settings up real high. 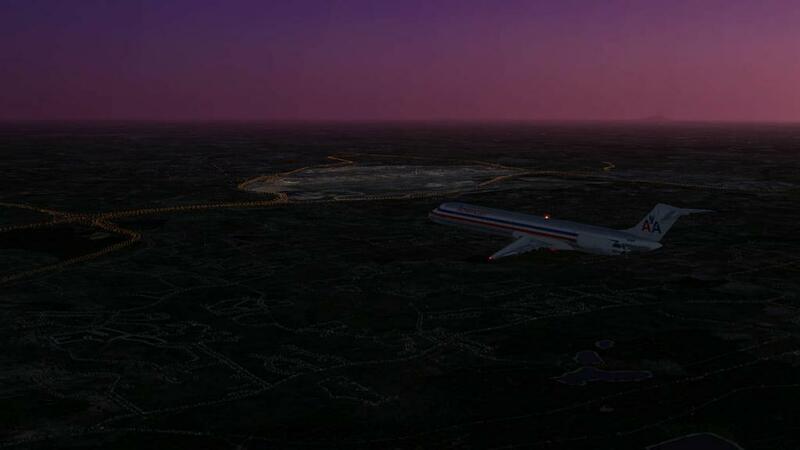 KATL looks great from the air, and the runway lighting is excellent. You notice the different textures with photo (ortho) textures with the scenery being a slightly lighter shade than the darker surrounding default areas... but they are not that noticeable from a distance but they are closer up. 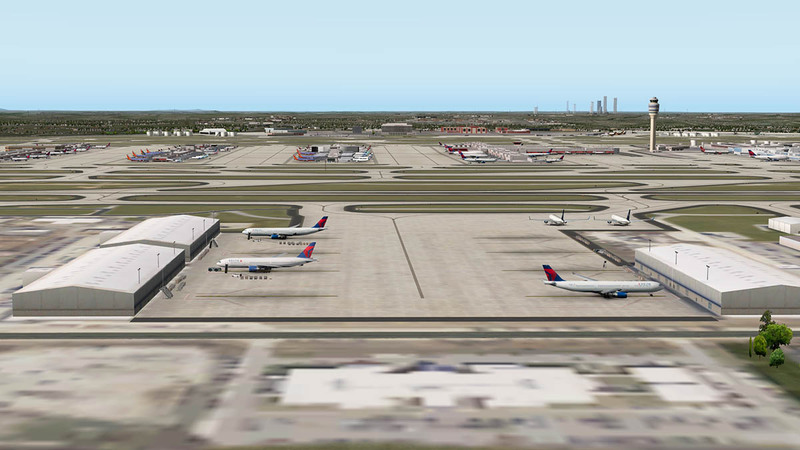 Overall the view of KATL is the size of the scenery, no matter which way you look at it it is big and feels big. With a scenery this expansive there has to be compromises. 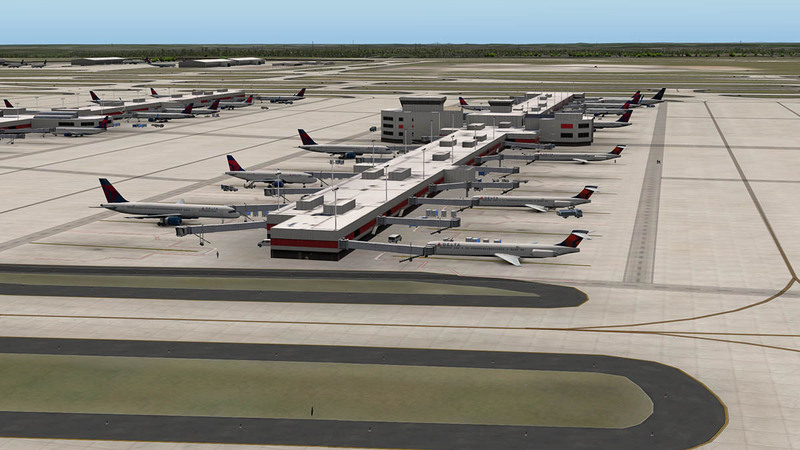 KATL - Hartsfield–Jackson Atlanta is one of the largest airports in the world, and any scenery designer will not really ever cover such an airport in absolute minute detail. No matter which way you cut it, there was always going to be a lot of objects in there to cover a lot of ground. And even in this form KATL will still take a fair whack out of your computers memory storage space to compensate for that. KATL is heavy on your frame-rate in fact I was always in my low 20's with all these objects around me, however it never really dropped into the struggle street numbers and was and is highly usable as scenery, HDR "on" didn't drop it down much either, so in that area the scenery is very good considerable of the size of what you are trying to process. 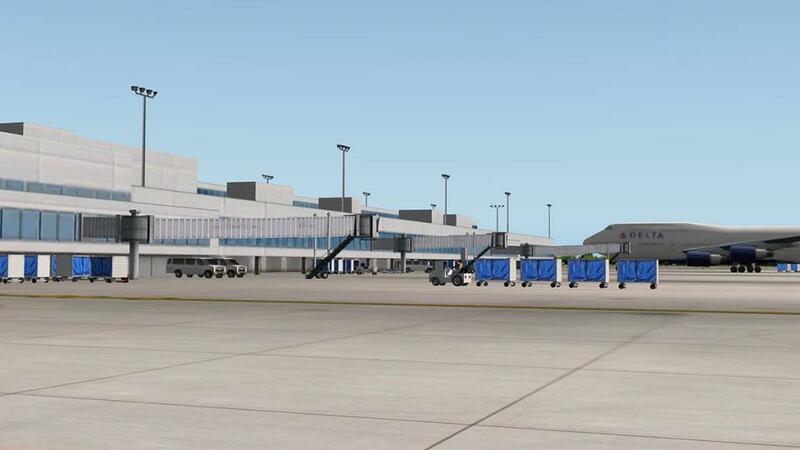 Animations are certainly very well done here, but why put great animations and no animated jetway/airbridges? 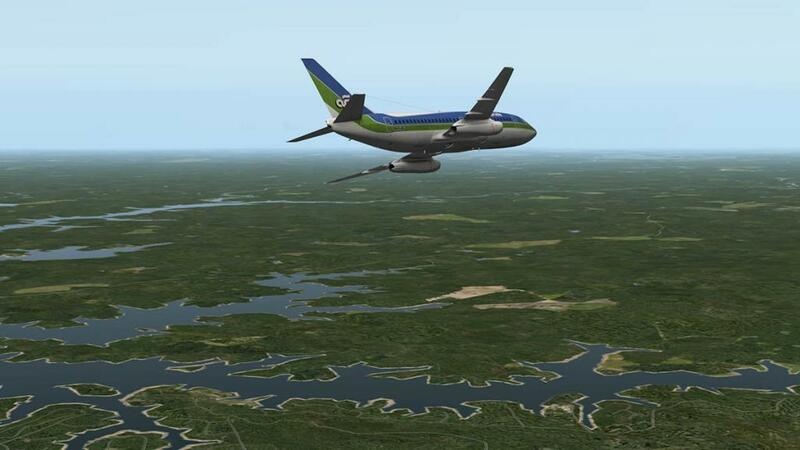 even a few would have made the scenery more accessible, and such features are becoming now more de rigueur in X-Plane and certainly in payware scenery. From a distance or even middle distance this is excellent scenery, no doubt about that. 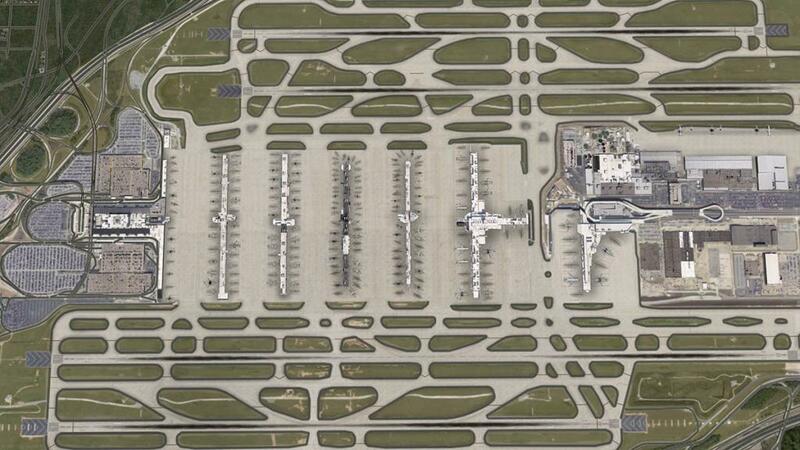 The Terminals and Concourses are certainly very well done, but up close there is a slight feeling here of a basic layout despite my notes of the requirement of watching the size and object count of this size of scenery. Most of Butnaru's sceneries are very good, but they are in most cases a large photo (ortho) base with objects positioned on top. KATL is the best yet from Butnaru, but the detailing is missing that really makes excellent scenery catch your attention. The General Aviation area is a good example of this? 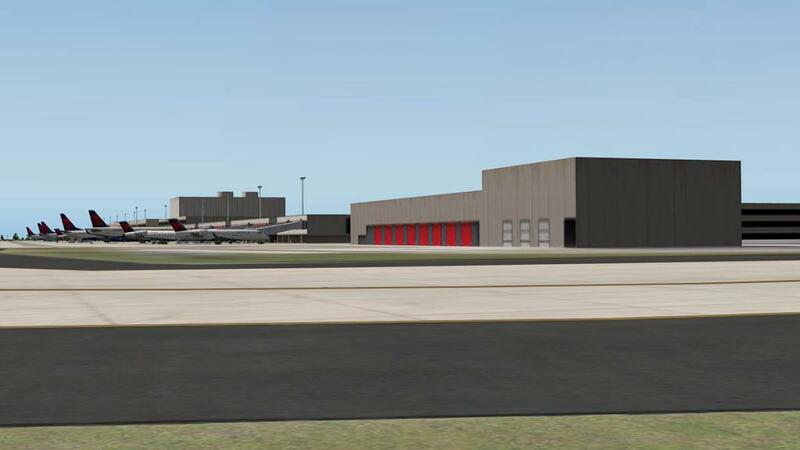 no fencing, no detailing around the buildings, signs or anything to make your arrival even remotely realistic, basically it is the object building on the flat ground texture. And those flat planned out photo carparks just don't cut it anymore in this level of scenery. Lighting is good but not exceptional. There is certainly a lot of ground to cover here (pardon the pun), but good lighting in this case can work for you in breaking up the areas into their specialities, and good scenery can do this. If not a bland look can creep into the overall look of the complete scenery. 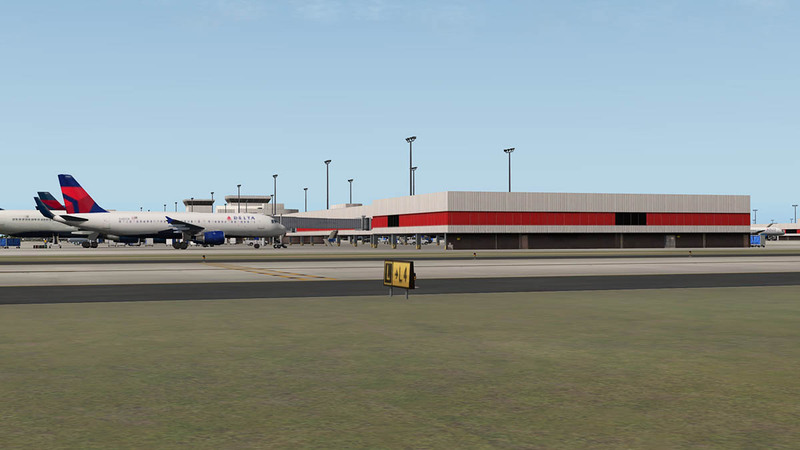 So overall KATL - Hartsfield–Jackson Atlanta Butnaru is very good, like all of Butnaru's sceneries are, but it could also have been exceptional with a little more creative detailing and the filling in of the smaller areas that when you get out of the aircraft and you feel you have arrived... But it is still a very good investment. Installation : Download is 278.90mb that is unzipped in to 380.90 into your Custom Scenery folder. 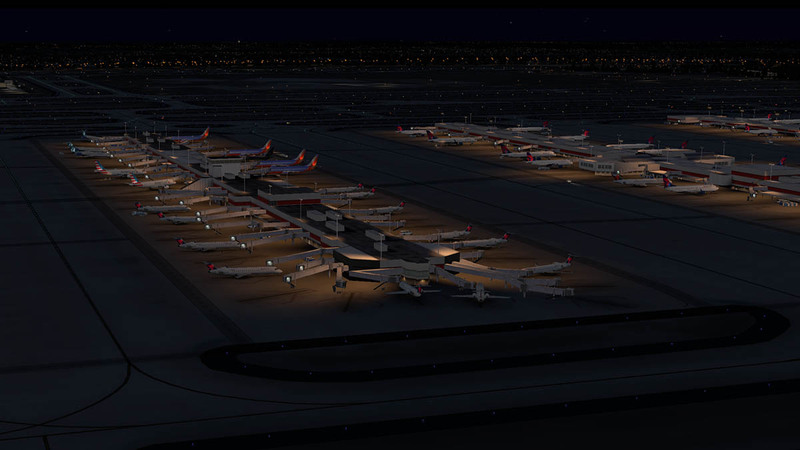 the GroundTraffic plugin from Marginal for the airport traffic animations is built into the scenery, but you need X-Plane10 for it to work. 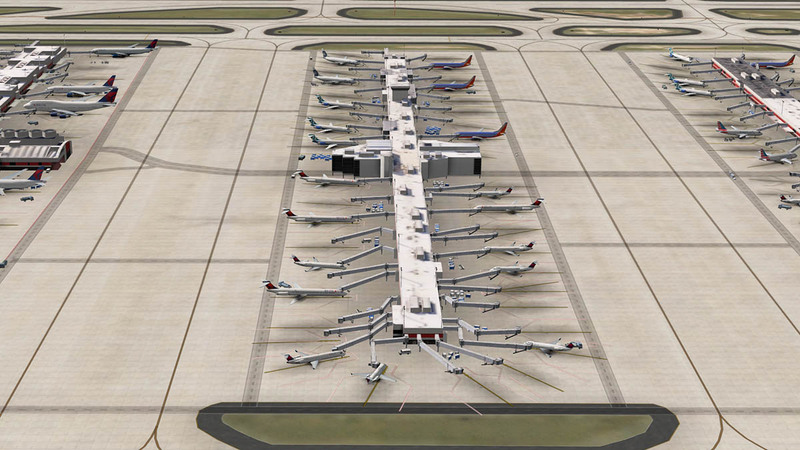 Note: If you find you KATL looks odd? 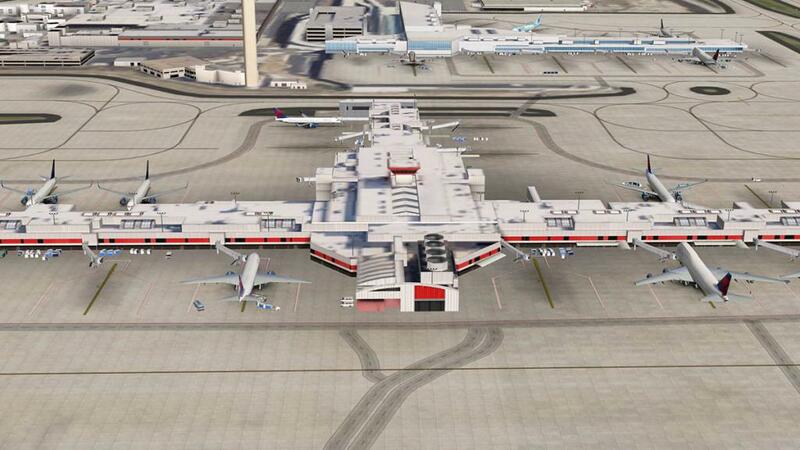 with strange buildings it is most likely the X-Plane "Global Airport" version poking through... Like it did for me here... If so then put in an exclusion zone around the scenery via WED or you can pull out the offending .dsf in the "Global Airports" folder in the Custom Scenery folder under folder - +30 -090 dsf and remove the +33 -85 dsf tile. Laminar Research certainly don't recommend this action, but sometimes it can be the only positive way to remove persistent annoying scenery. 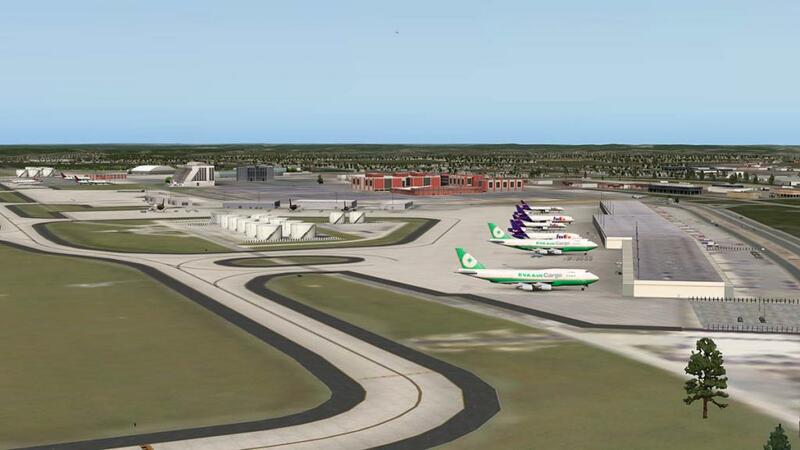 Documents : The scenery comes with a two airport page manual and no charts. 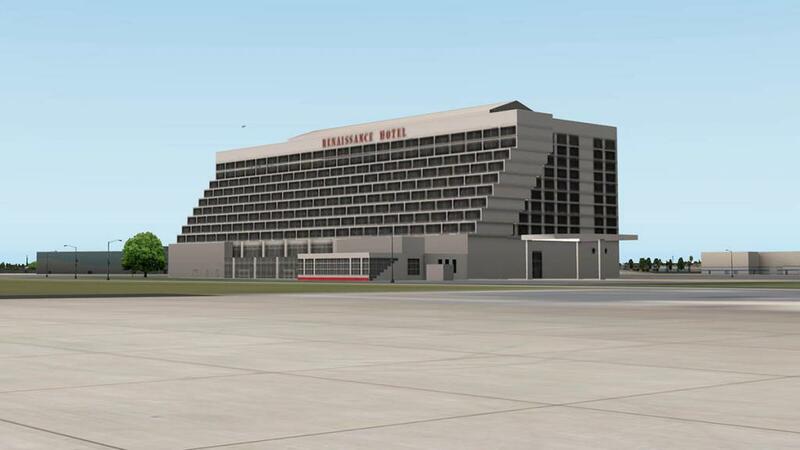 Very strange that concourses T, A and B are rendered in brick on the west side as this is doesn't exist. Concourses T through E have the same facade. 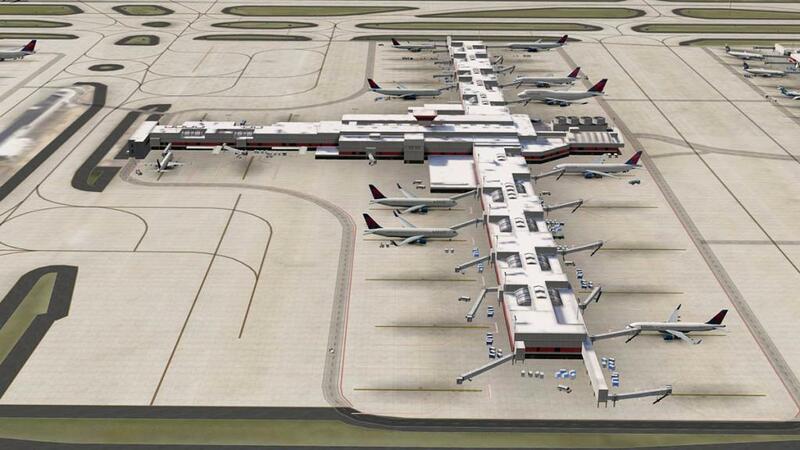 Also, if you look closely at the photographs you provided, the front of each aircraft is buried inside the concourse. Just a couple of small things I noticed. The beacon is in the wrong place wedged between two taxiways. The Airtran 717 would be better served in Delta colors at a DL concourse as SWA sold them to DL. On a personal note I also adjusted the colors of the orthos to blend a little better with the default scenery. Overall though I find it a very nice addition. 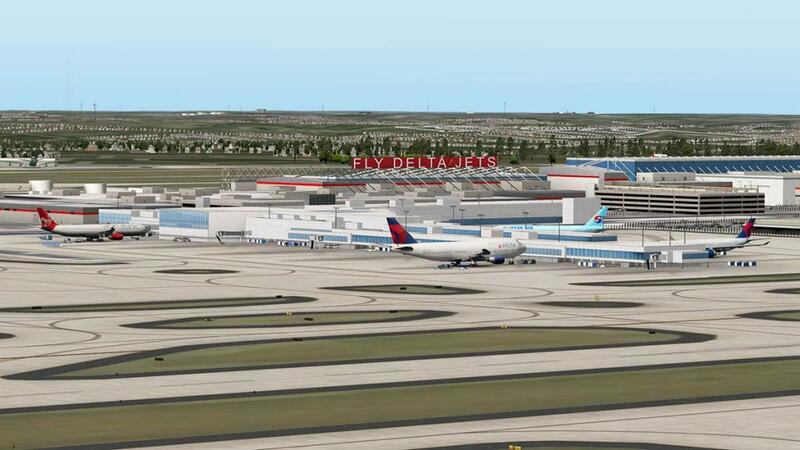 I noticed that parts of your scenery package in the pictures conflict with the Ted Davis KATL package. 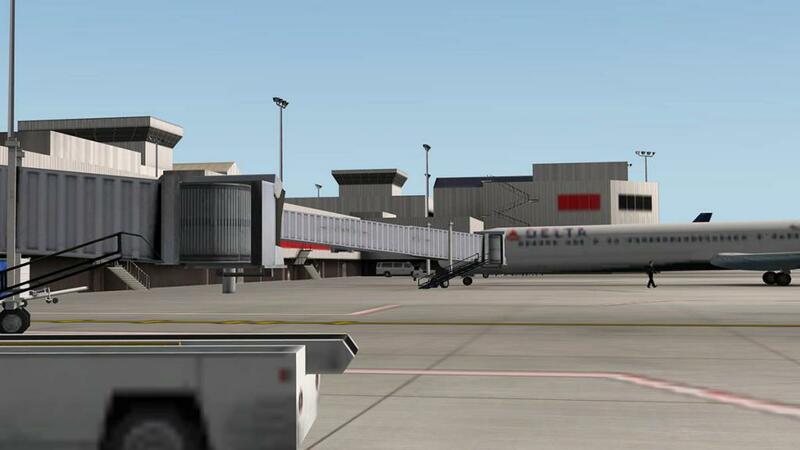 For example, part of the terminal is blocked out by the Davis package as shown in your review picture of terminal B.
I thought it was not right? I did clear out my custom scenery of duplicates? so here is the culprit! Again... this is getting annoying! So how did you fix it? Did you add an exclusion zone to the payware KATL (which should already have had it) or did you do something to the global airport? My bad. I missed it. I just disable the whole global airports folder - too big a job to keep on top of what's in there. As an avid hoarder of custom packages (2,226 and rising! 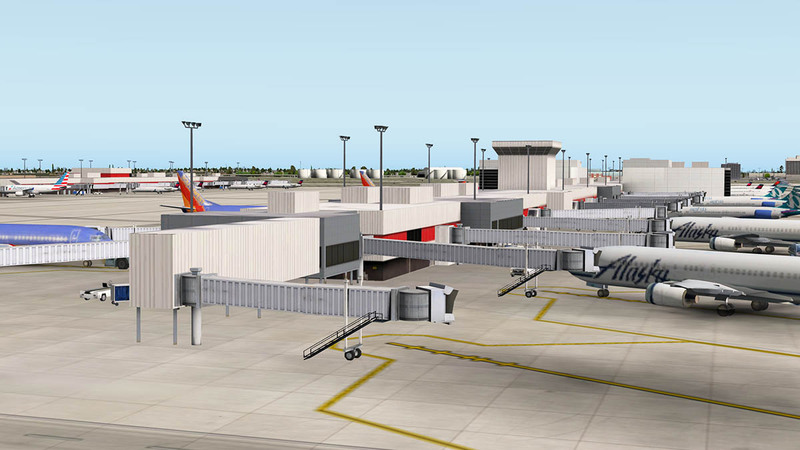 ), I've disabled most of the "stock" aerosoft packages too. 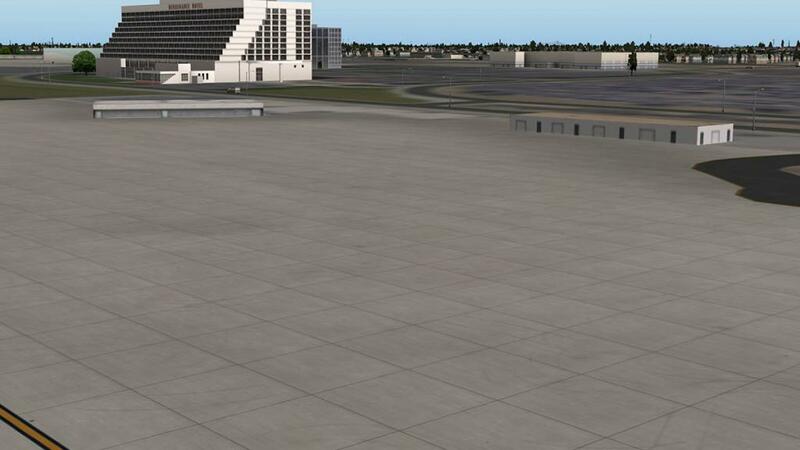 When I load up the airport the ground is just Ortho it looks like it doesnt have any of the ground textures i see in the screenshots, how Do i fix this?